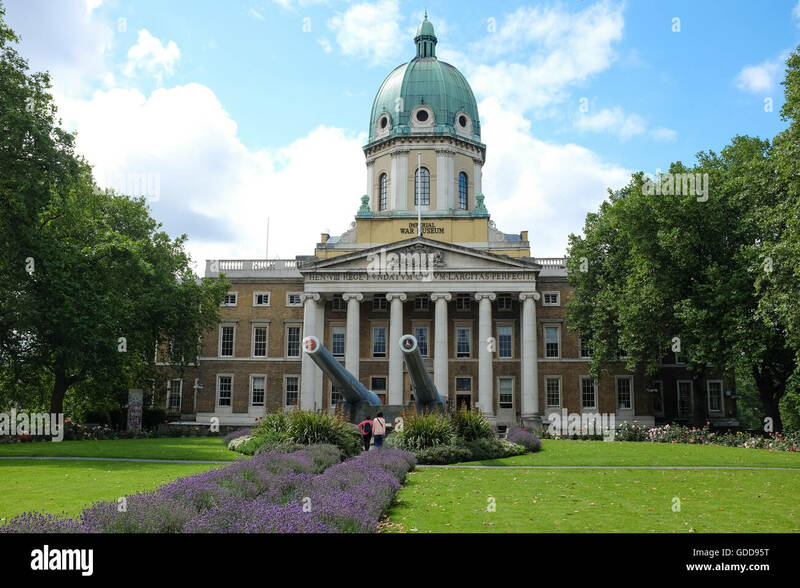 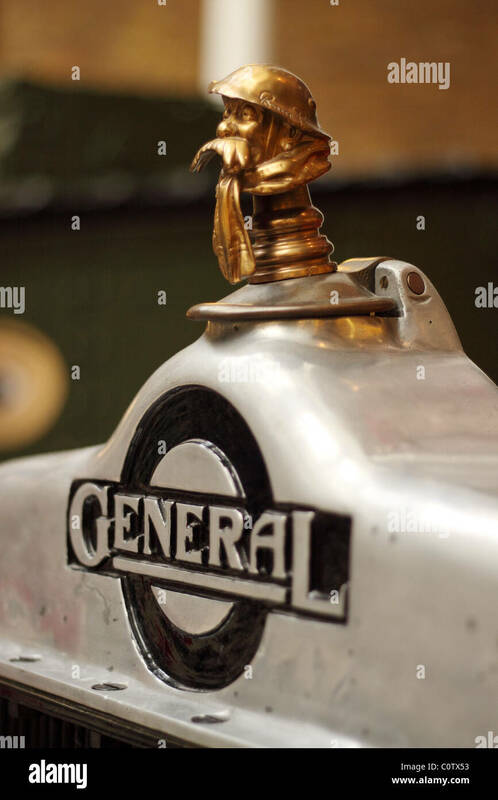 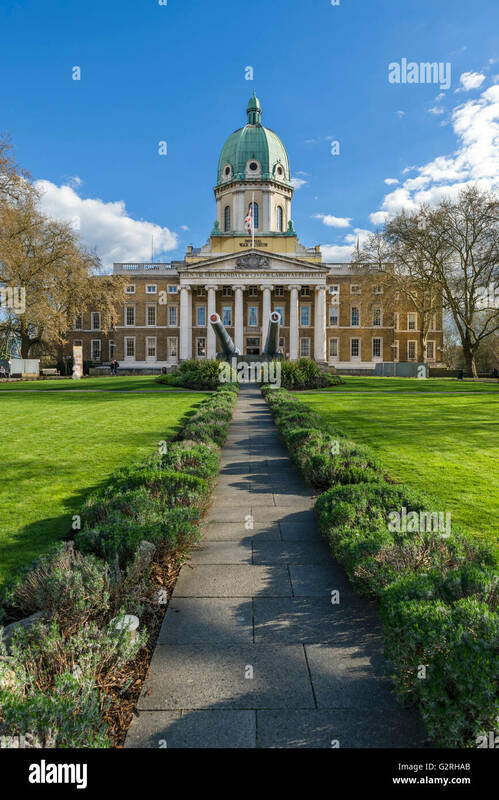 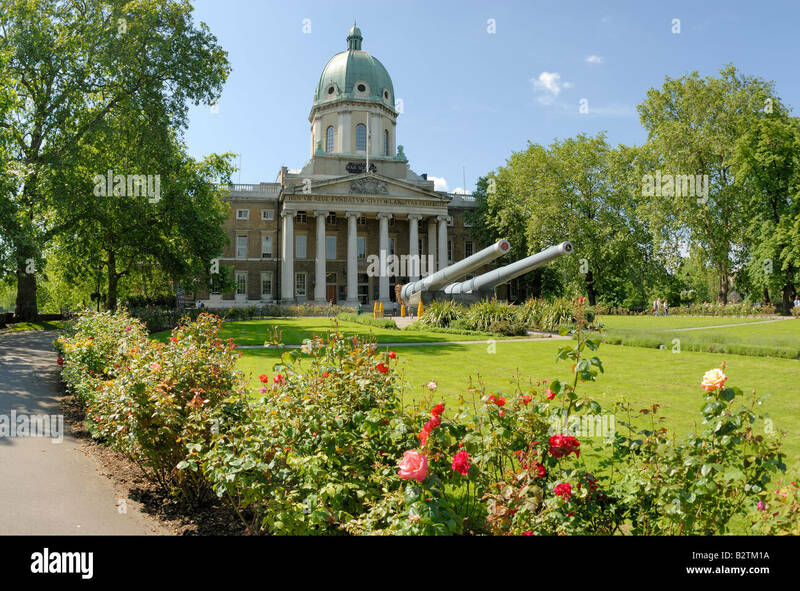 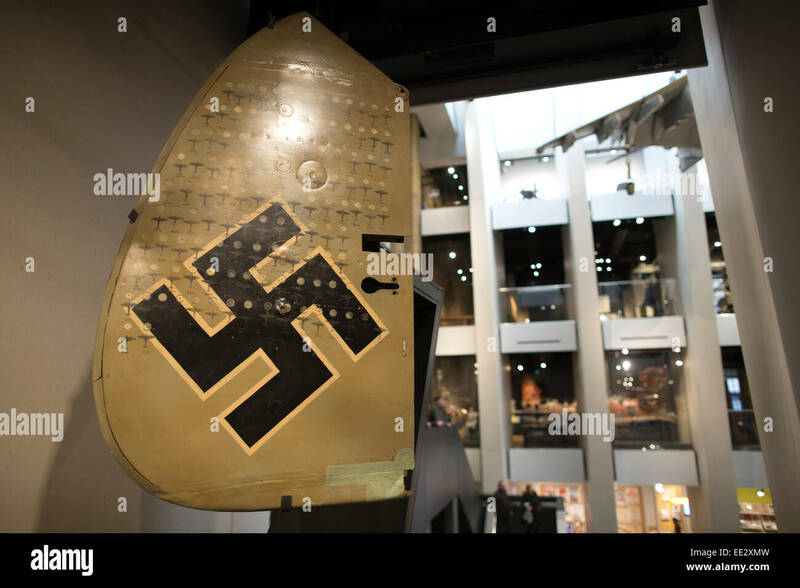 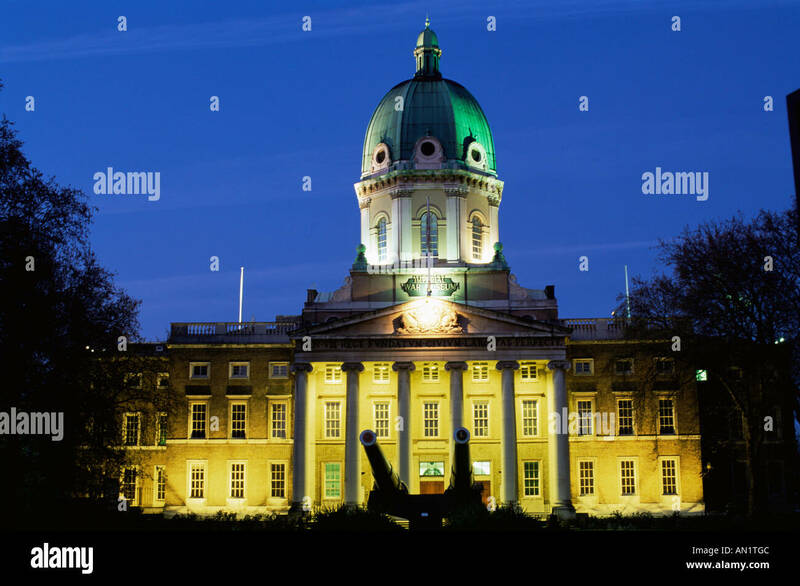 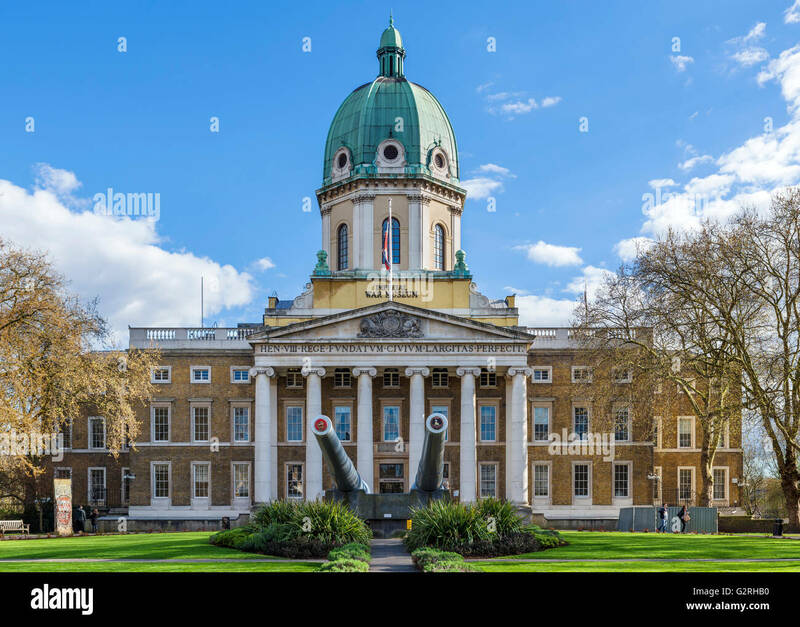 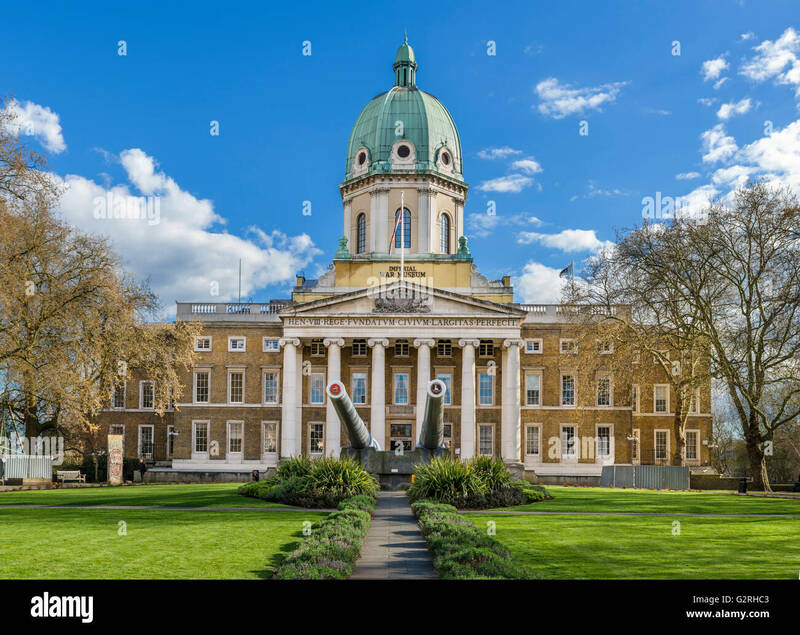 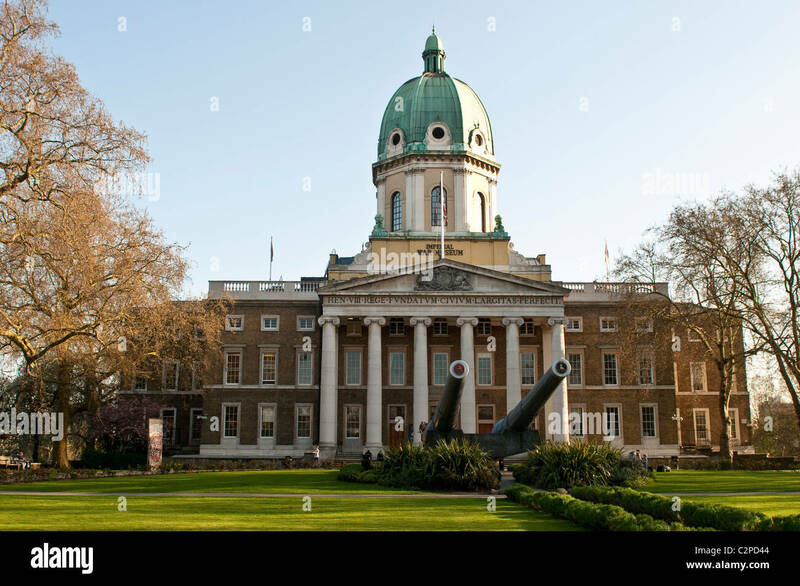 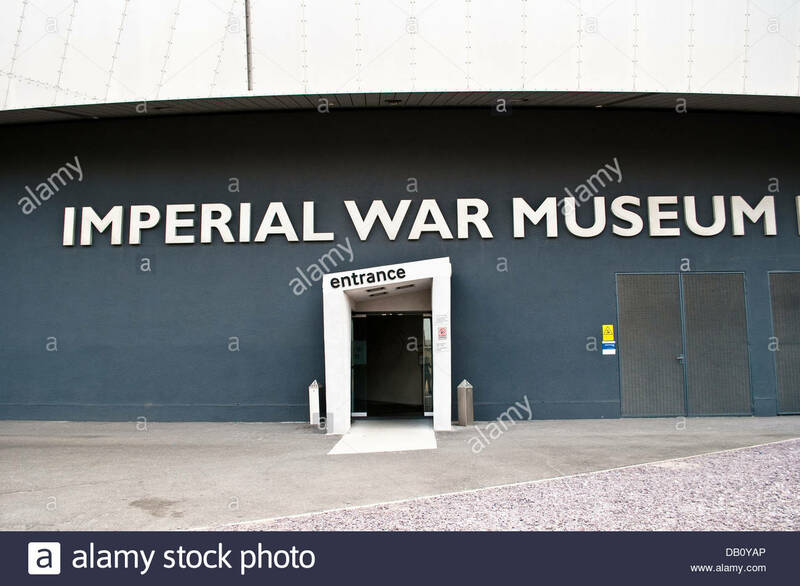 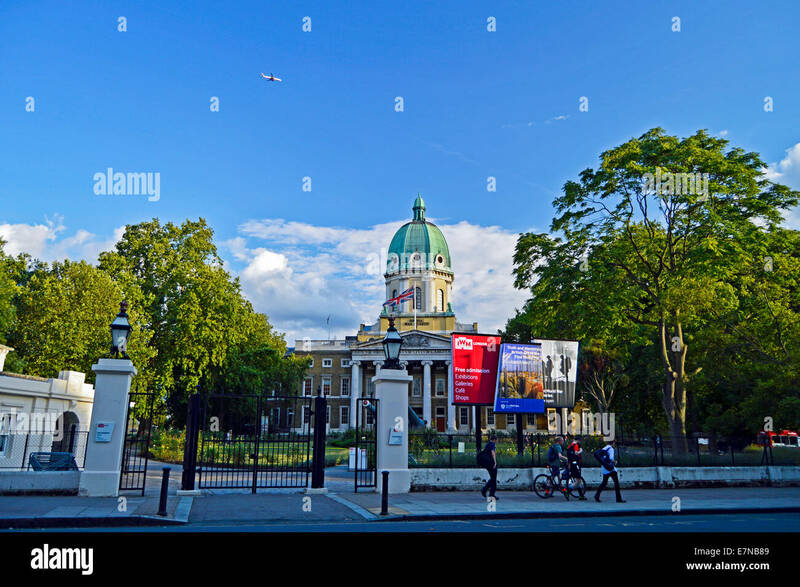 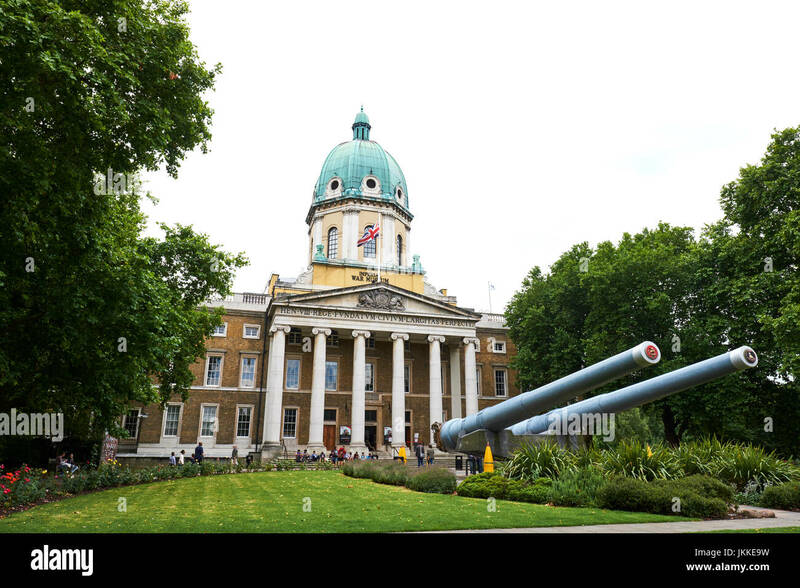 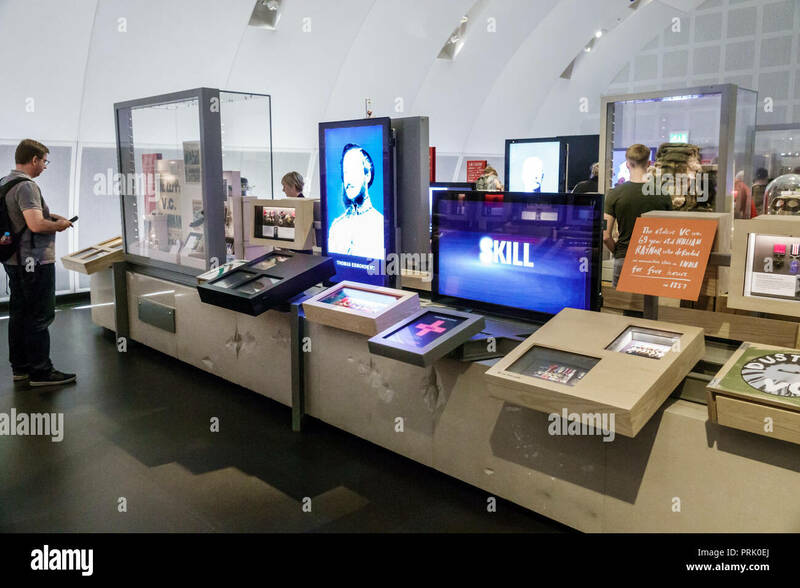 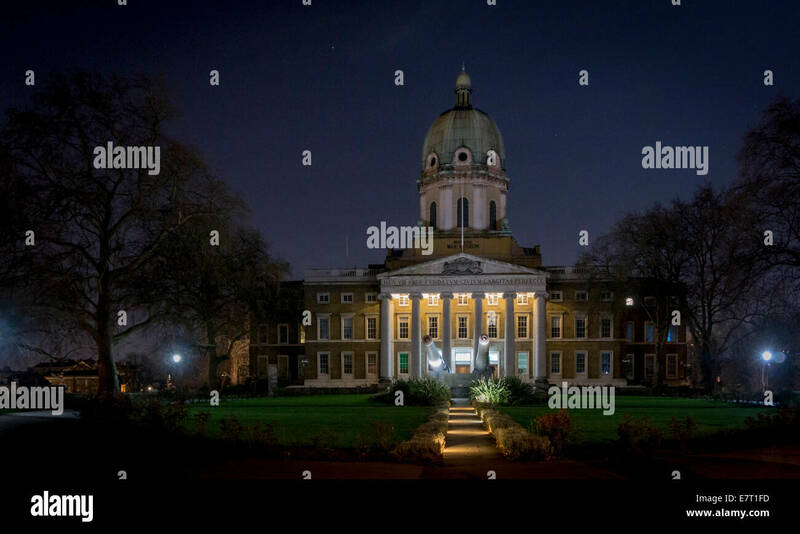 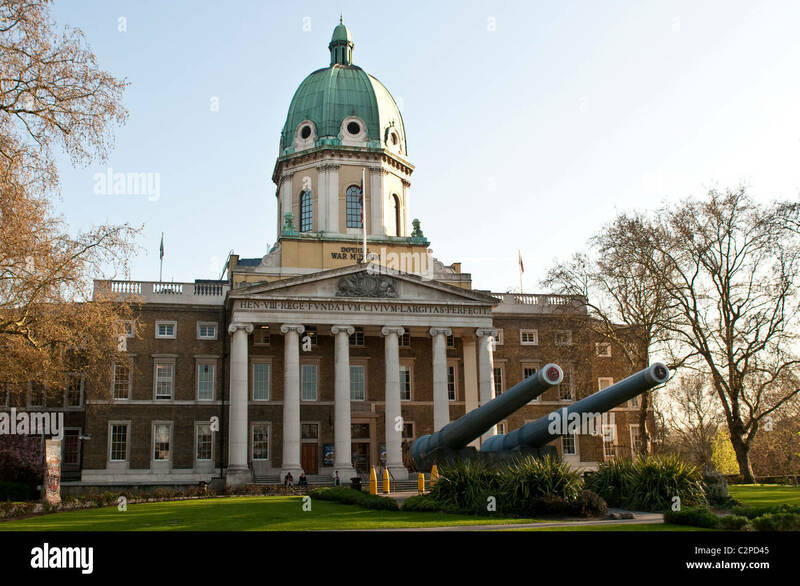 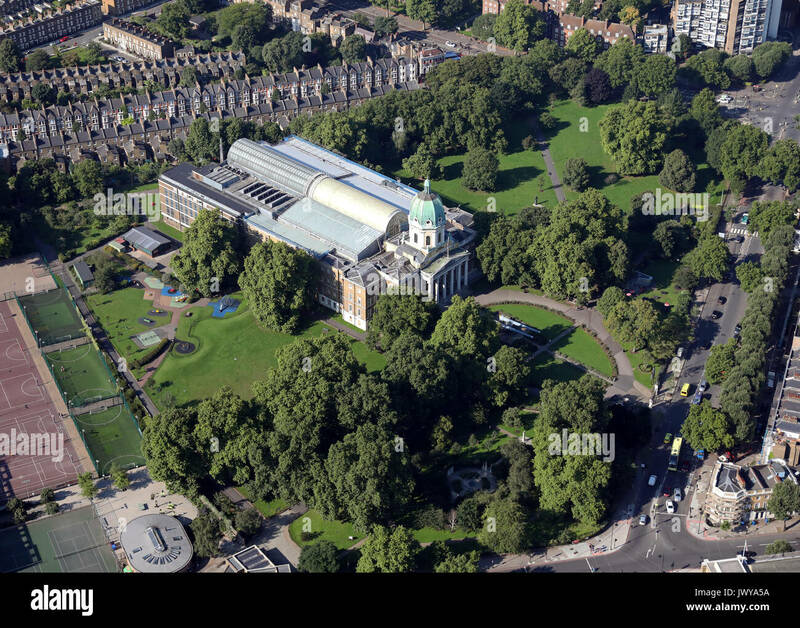 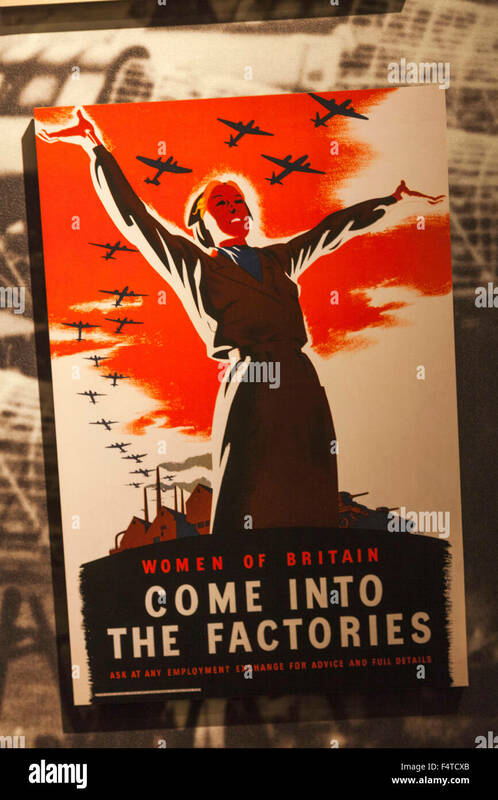 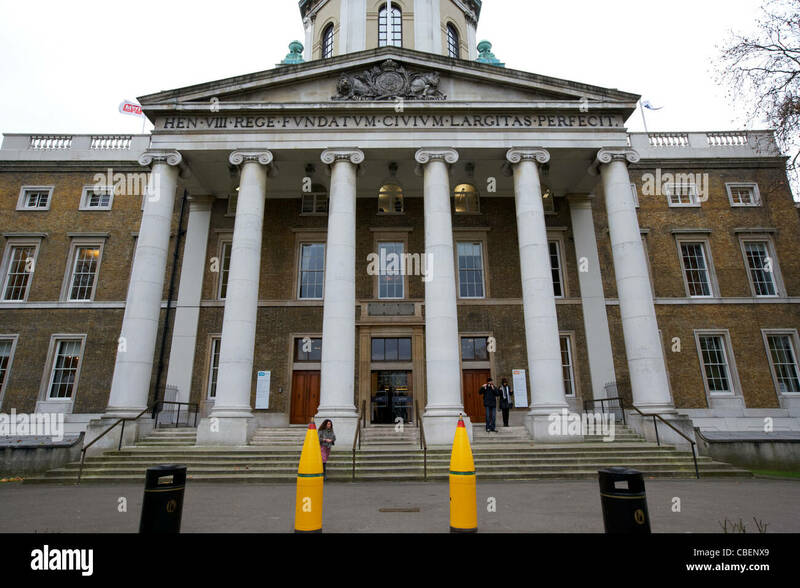 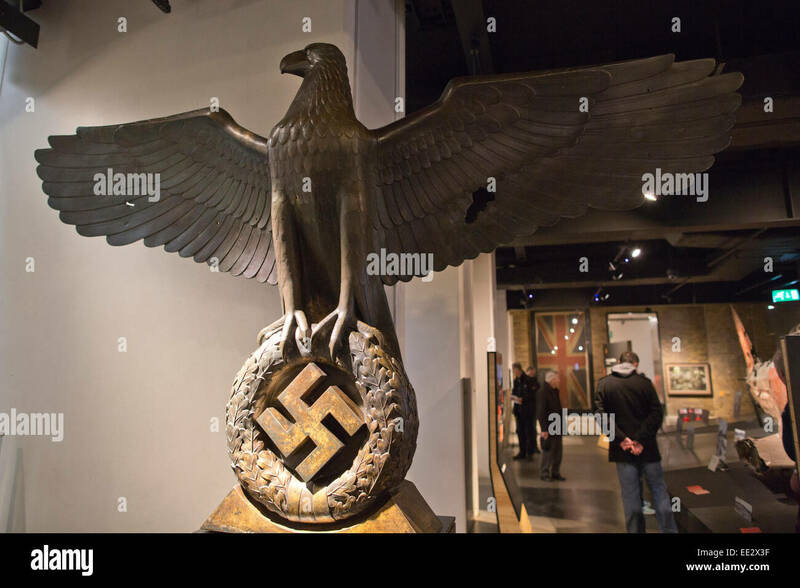 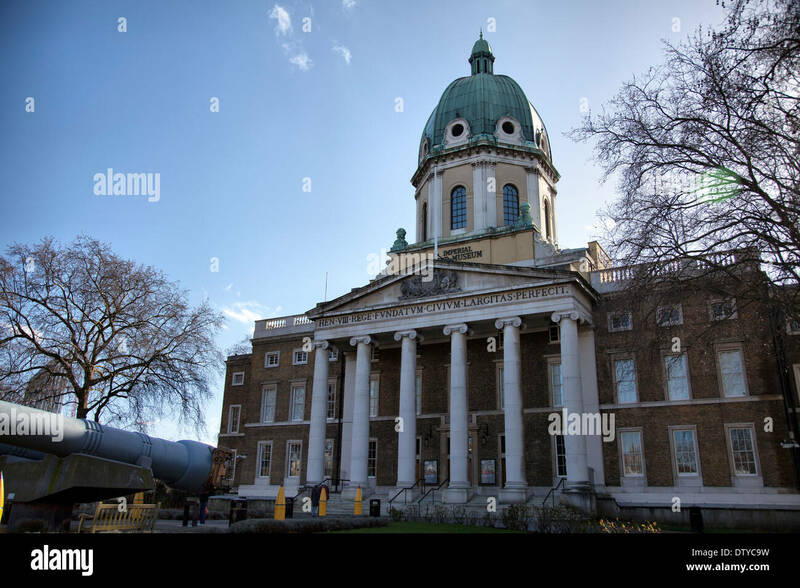 The Imperial War Museum, London, England. 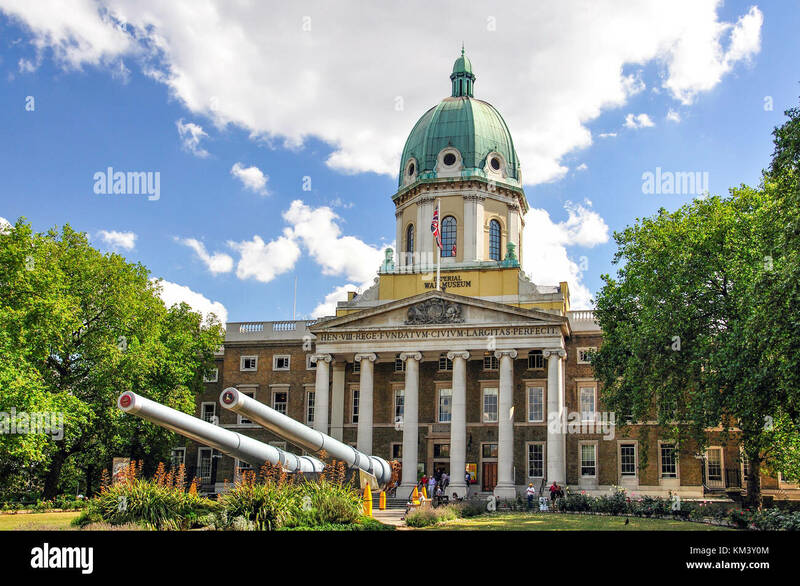 The Imperial War Museum in London, England. 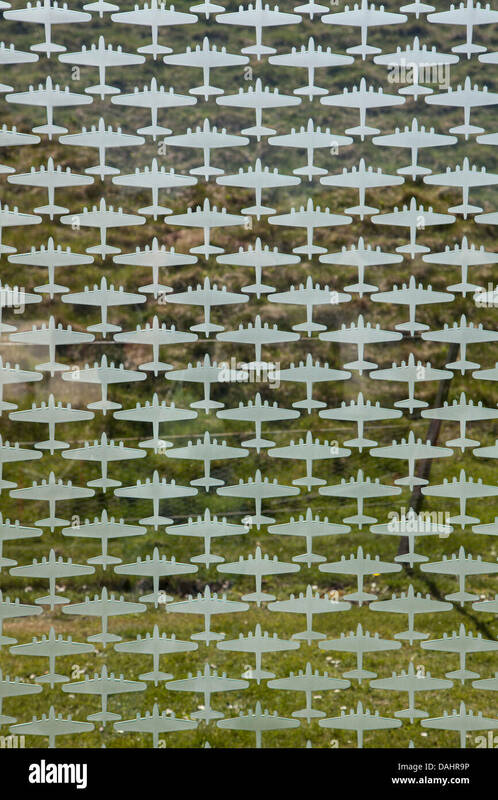 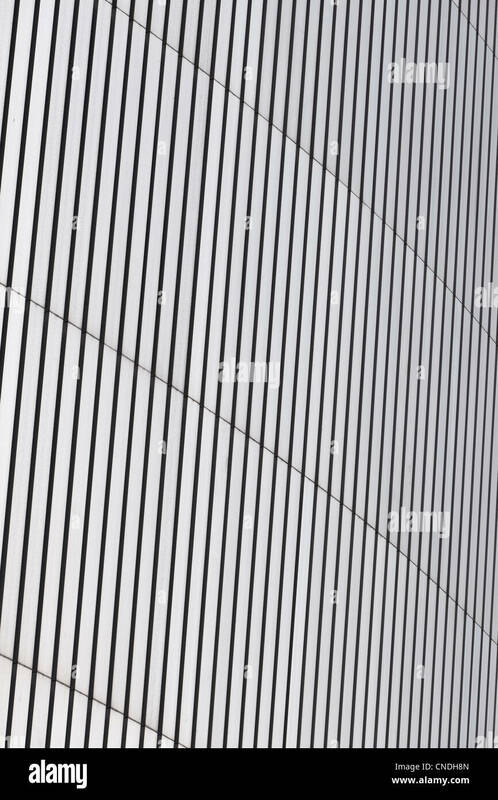 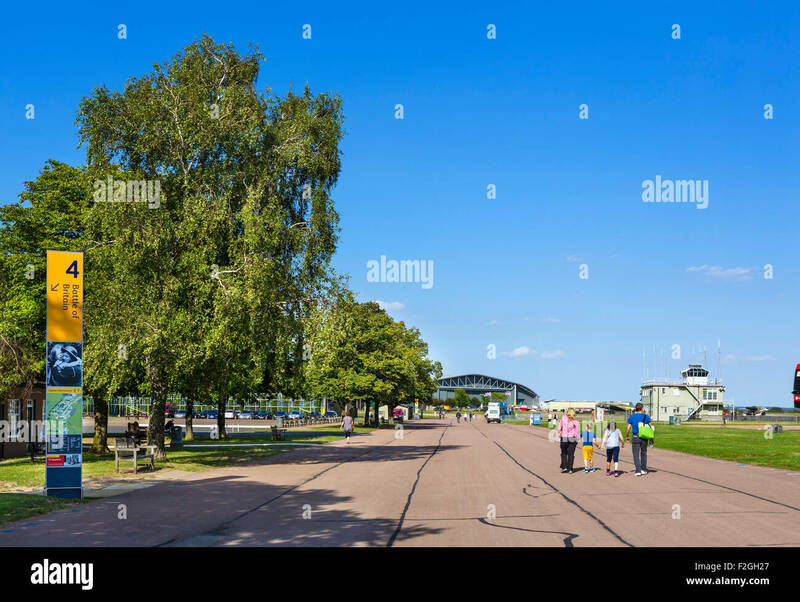 Memorial wall at the Imperial War Museum, Duxford, entitled 'Counting the Cost' and designed by Renato Niemis. 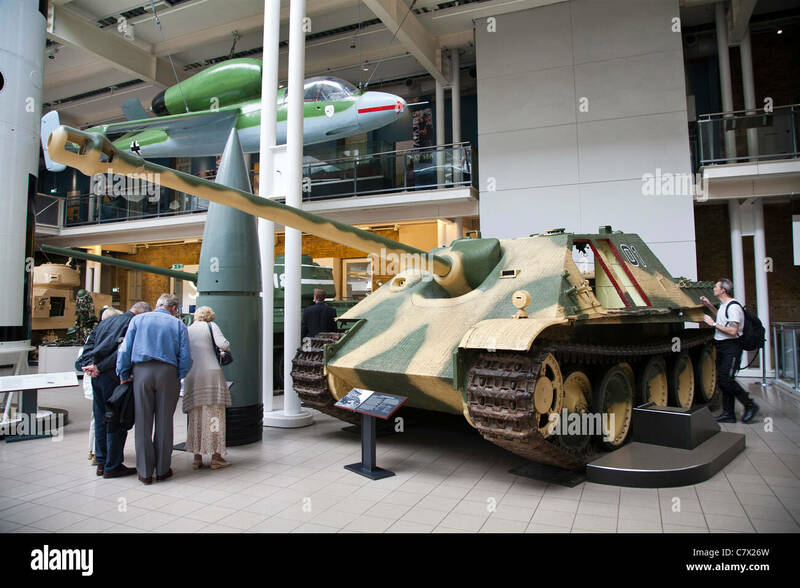 Imperial War Museum London main hall and a German Jagdpanther tank destroyer. 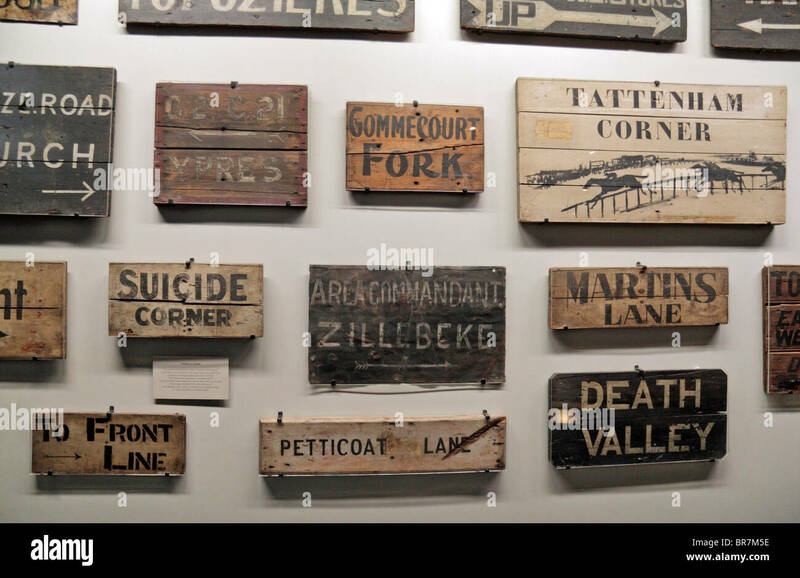 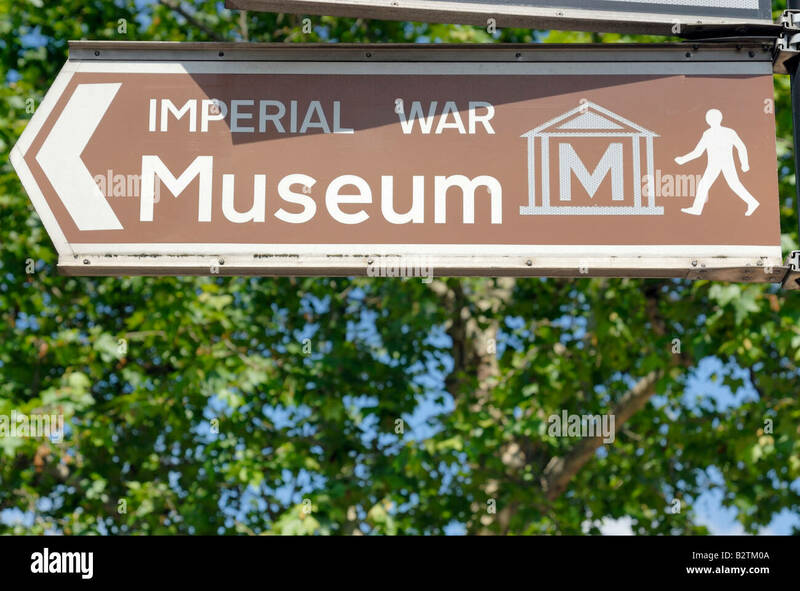 A collection of World War One trench name & direction signs on display at the Imperial War Museum, London, UK. 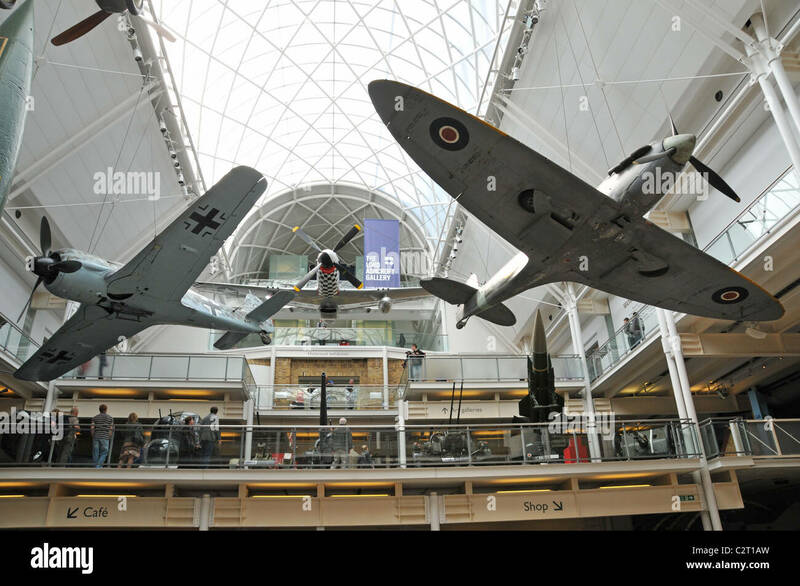 Interior main atrium at the Imperial War Museum, London. 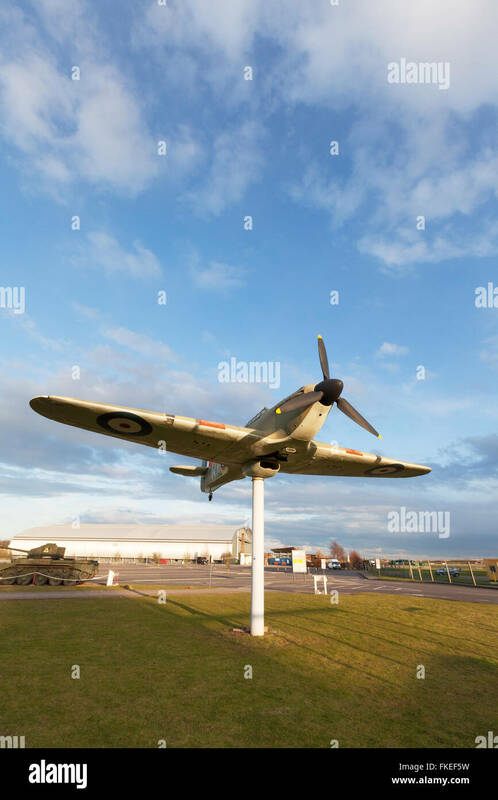 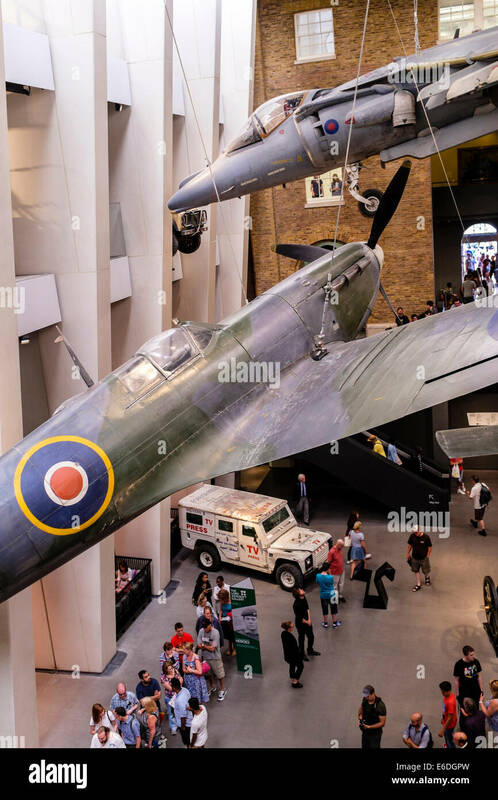 Aircraft from the First and second World Wars suspended. 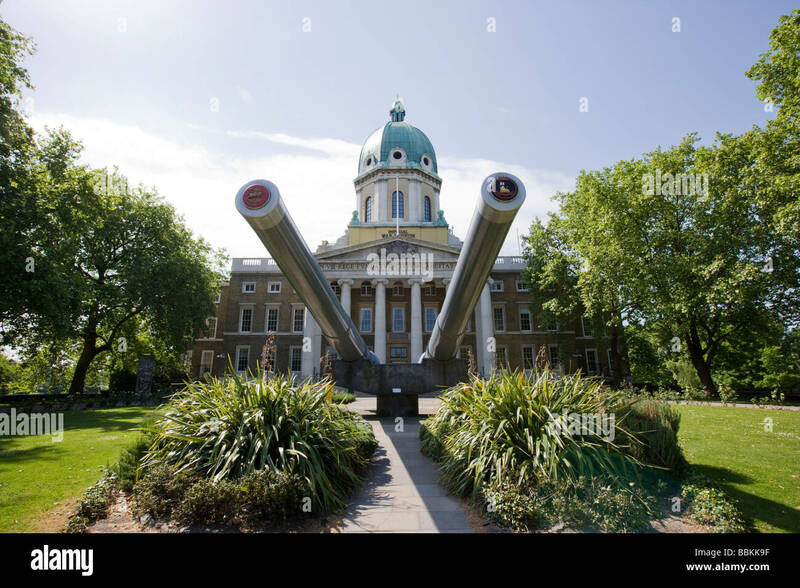 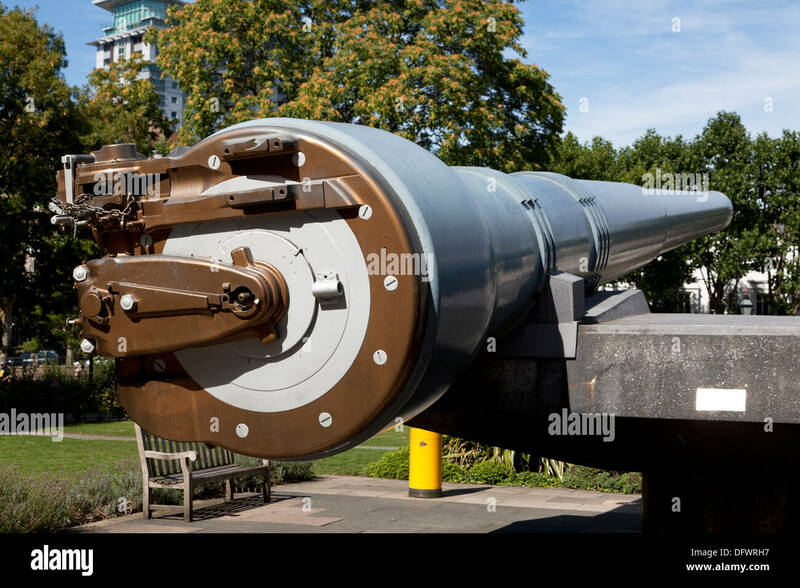 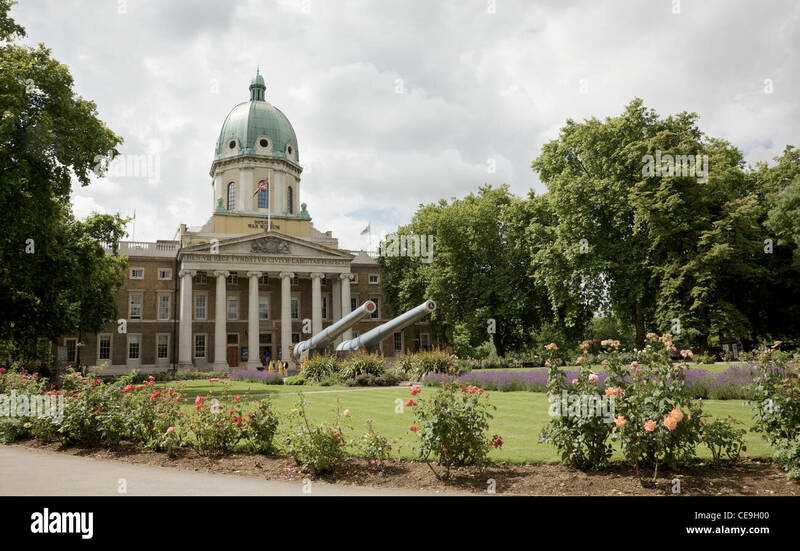 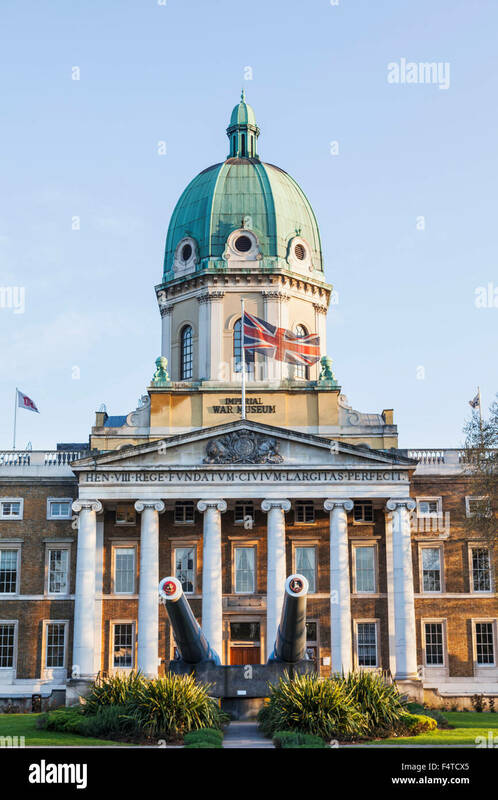 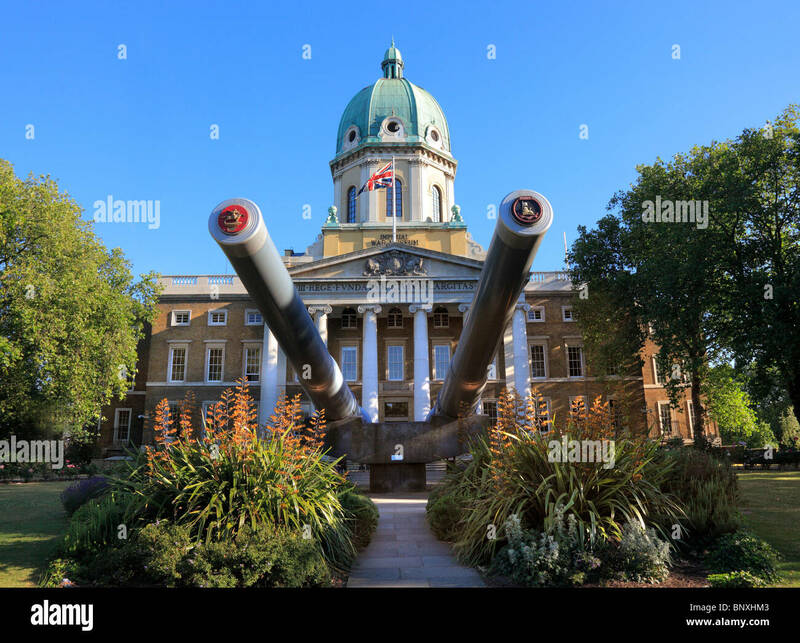 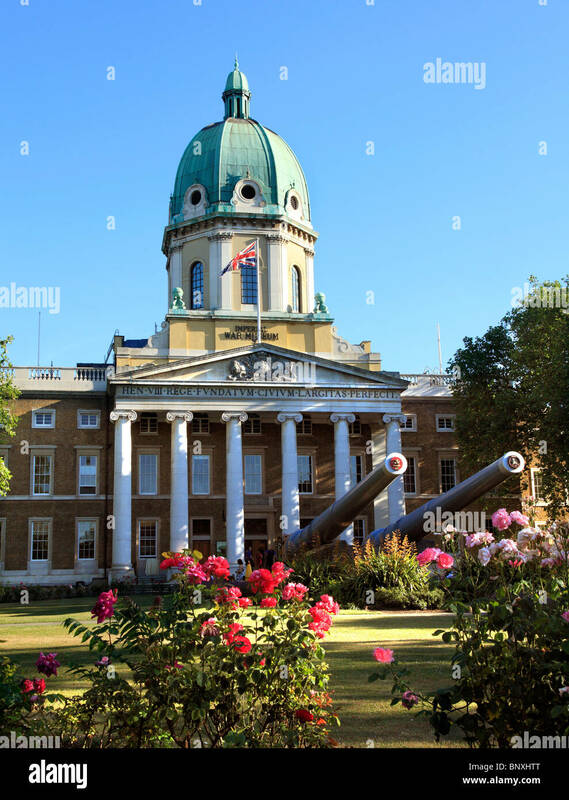 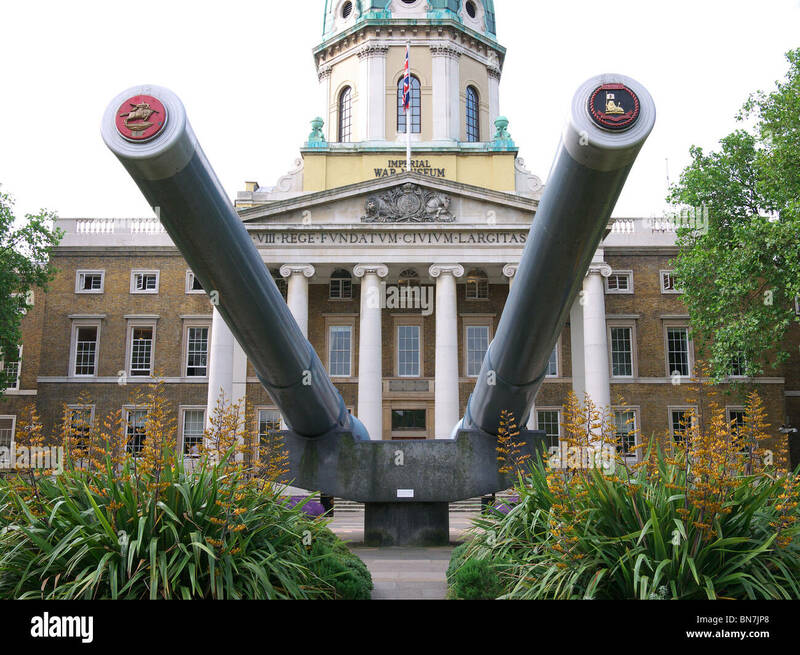 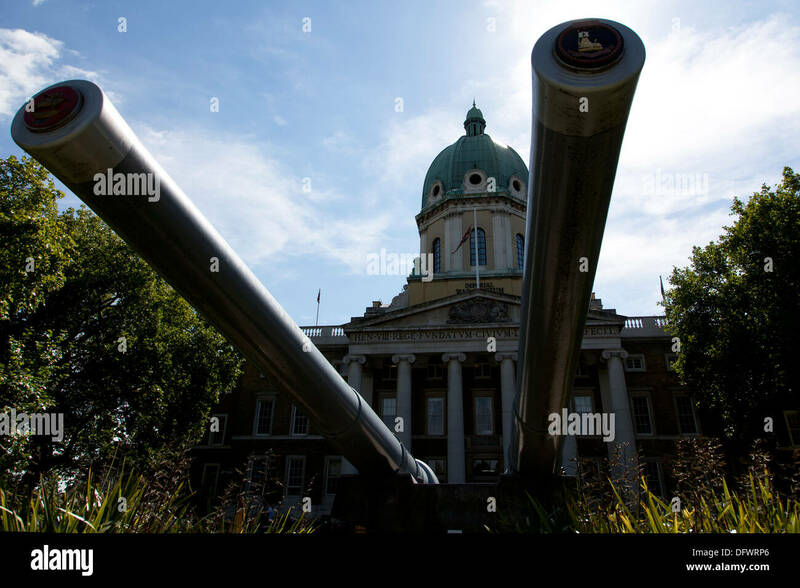 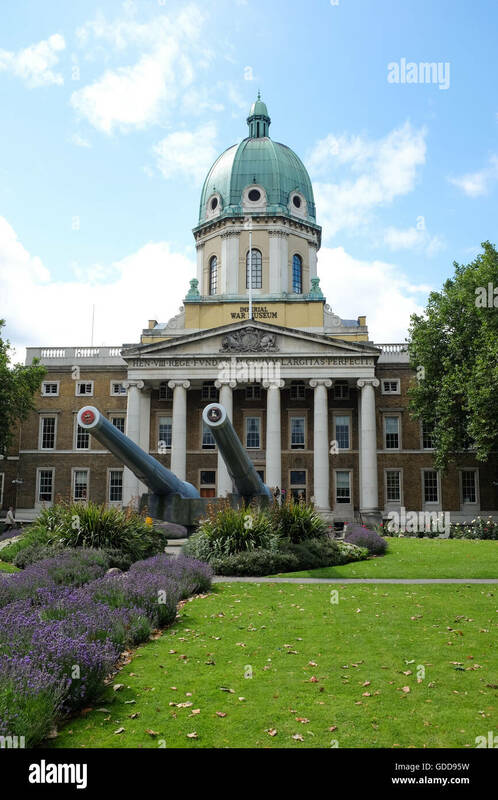 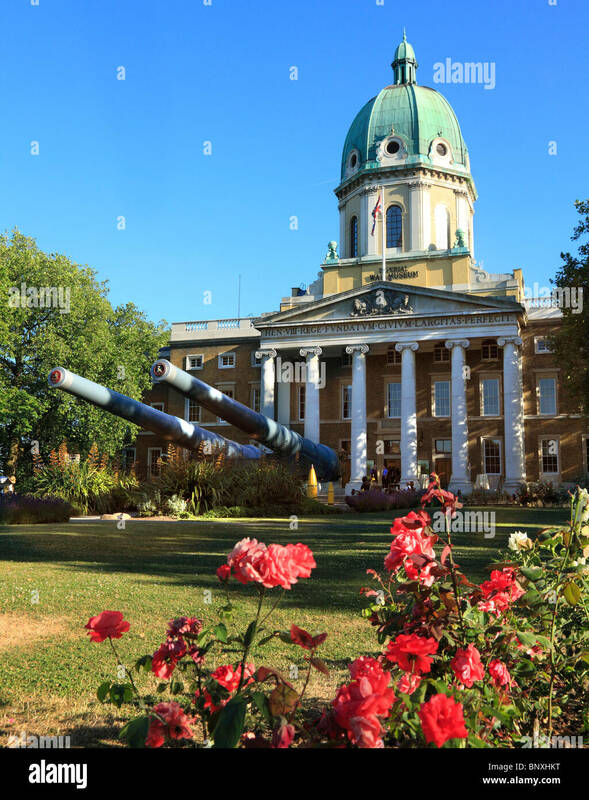 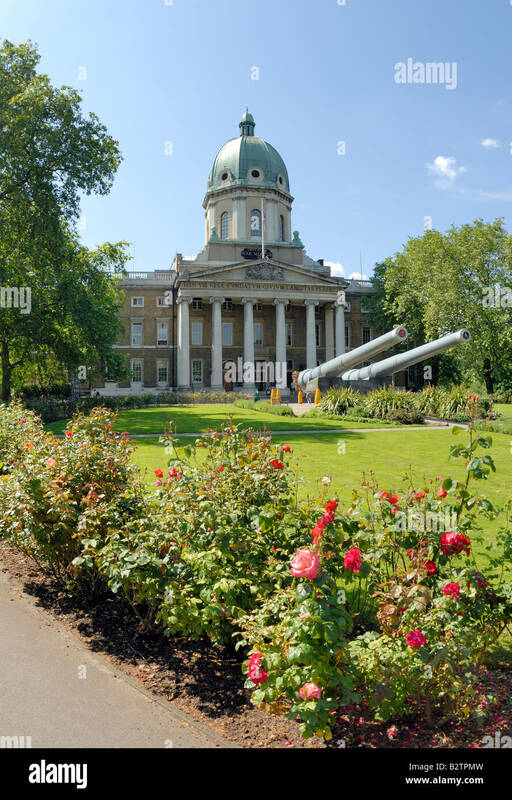 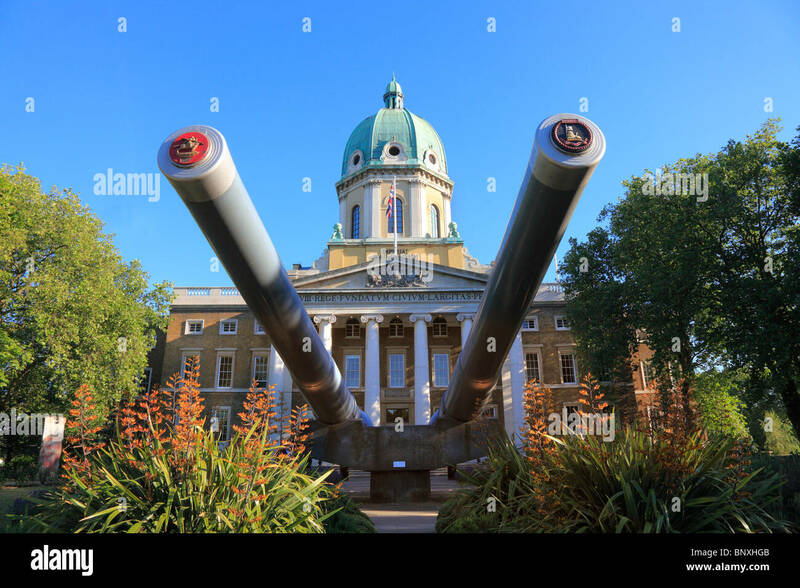 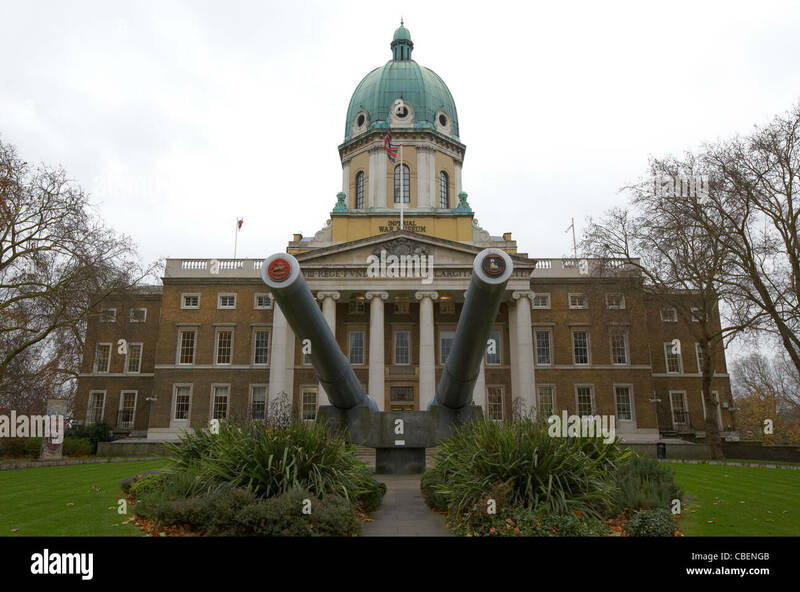 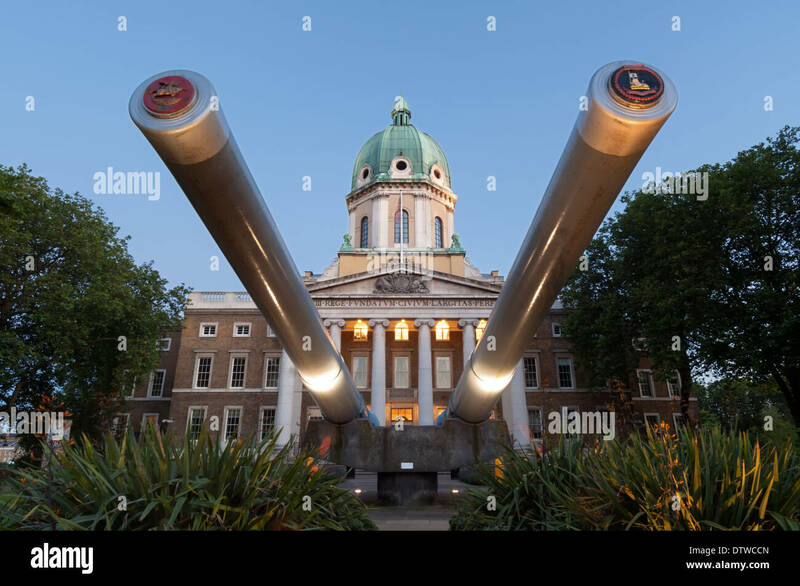 15-inch naval guns from HMS Ramillies & HMS Roberts outside Imperial War Museum, Lambeth Road, London, UK. 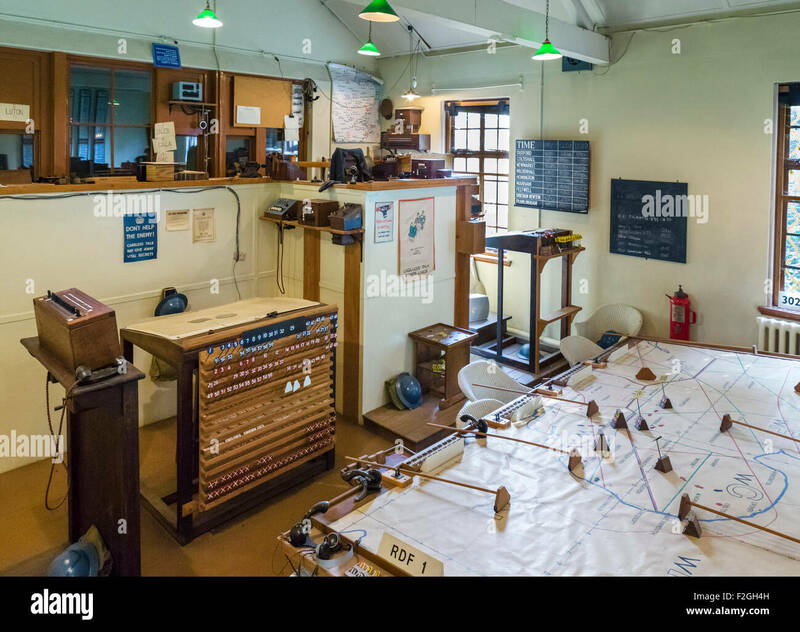 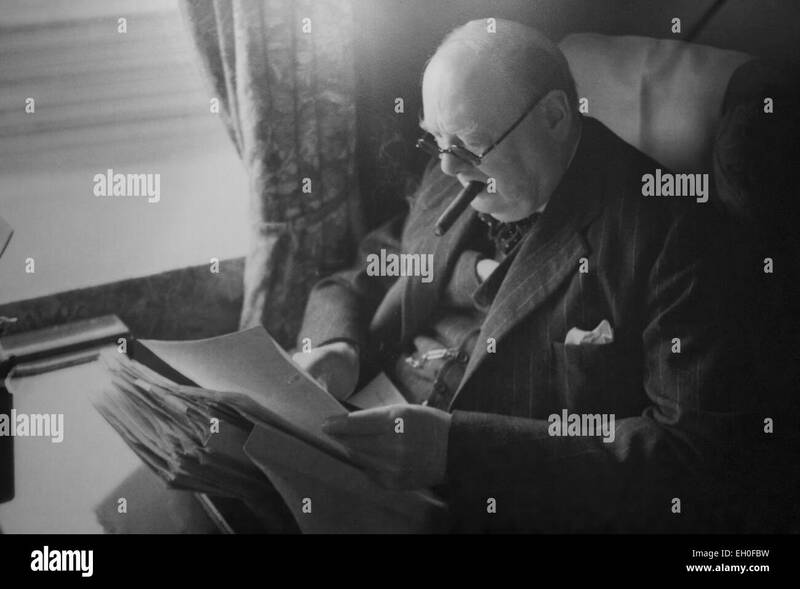 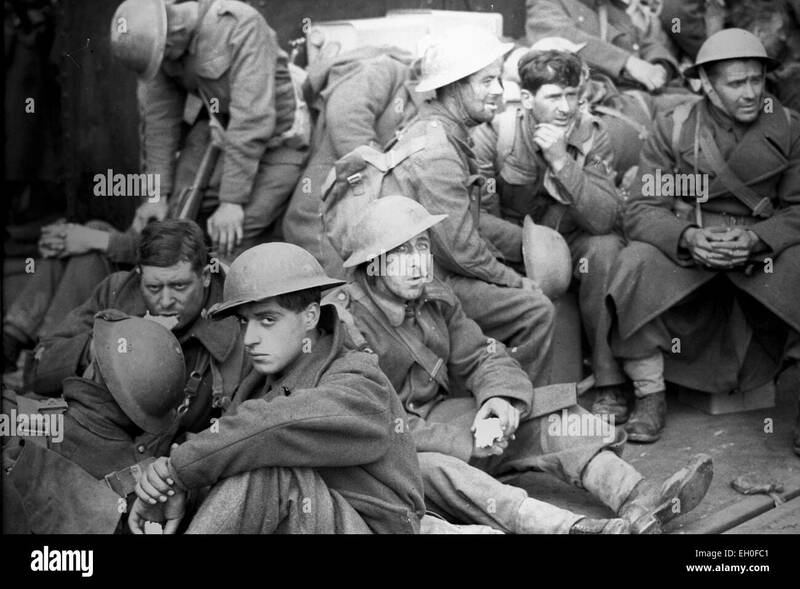 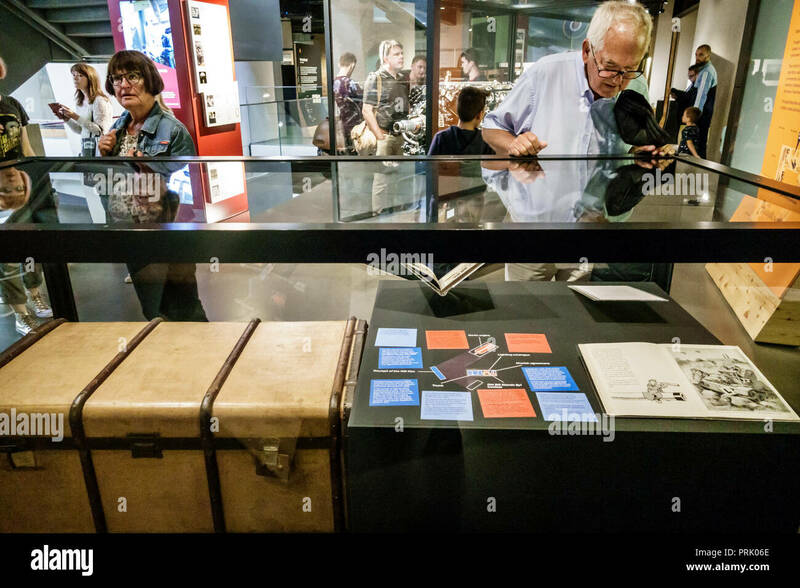 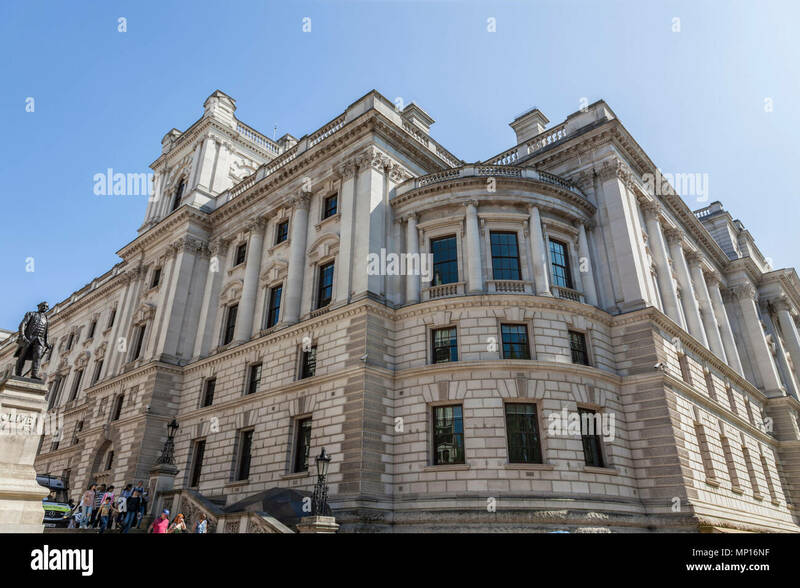 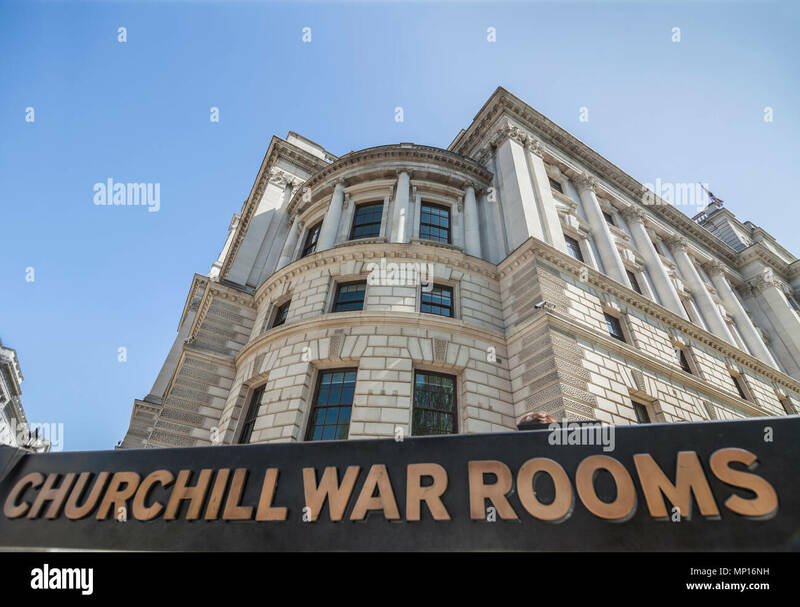 The Churchill War Rooms is a museum in London and one of the five branches of the Imperial War Museum. 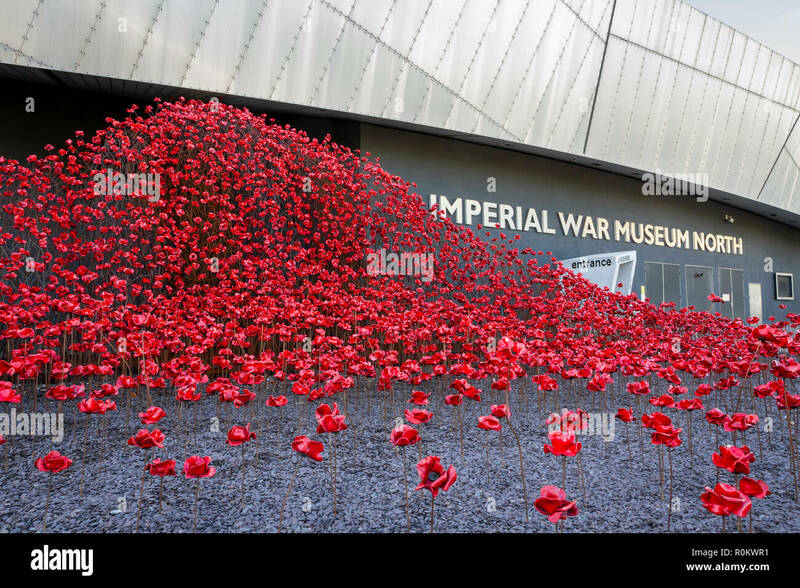 Poppies Wave, by Paul Cummins and Tom Piper. 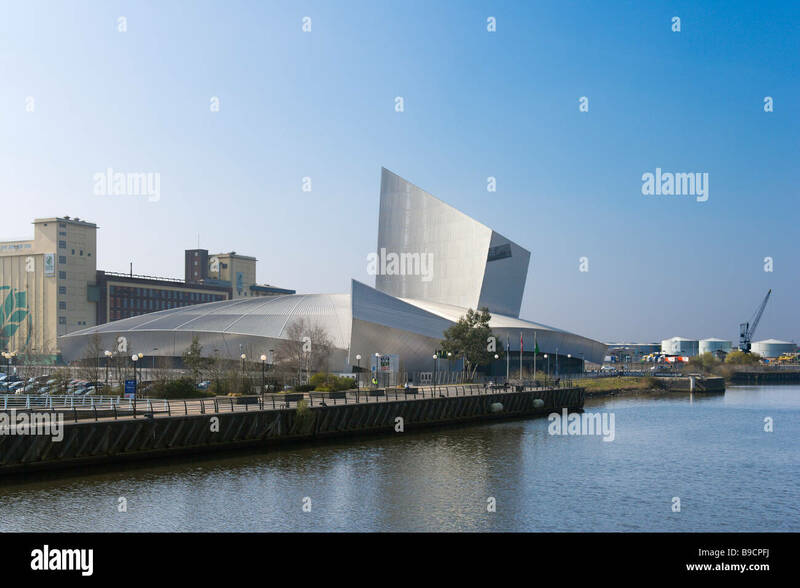 pat of The Poppies Tour at the Imperial War Museum North in Salford Quays. 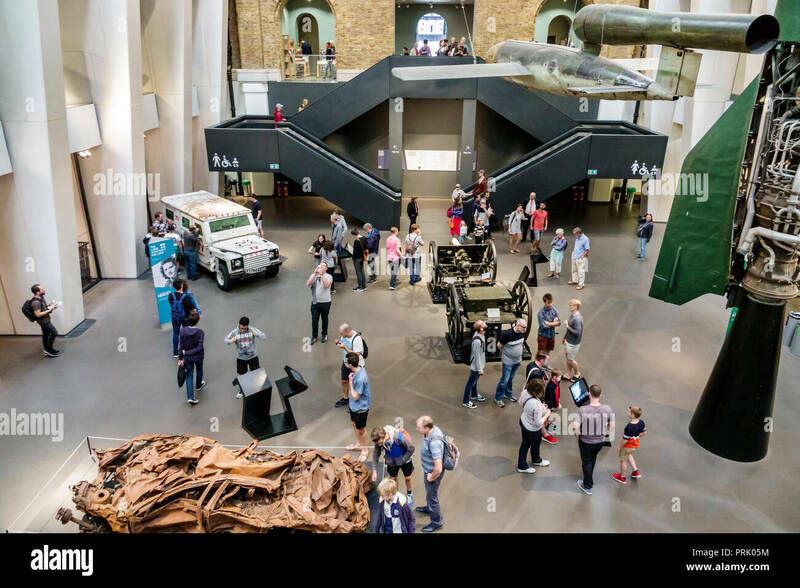 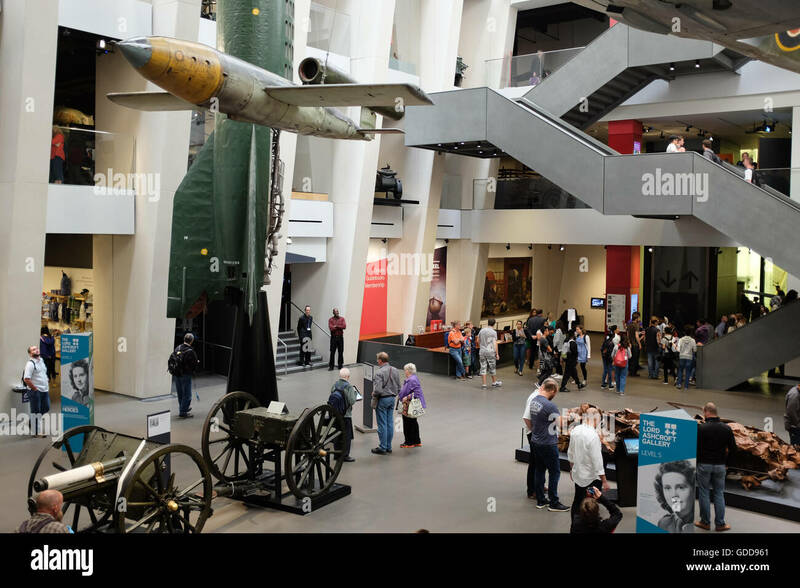 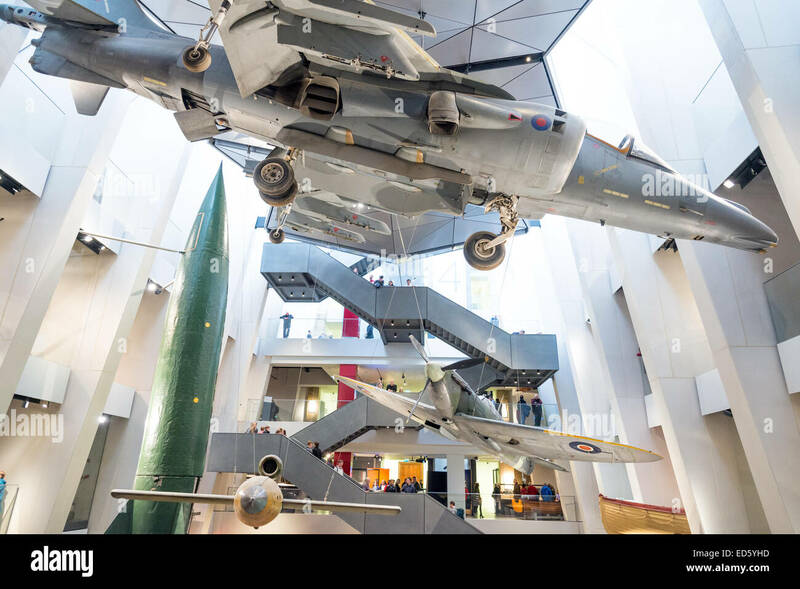 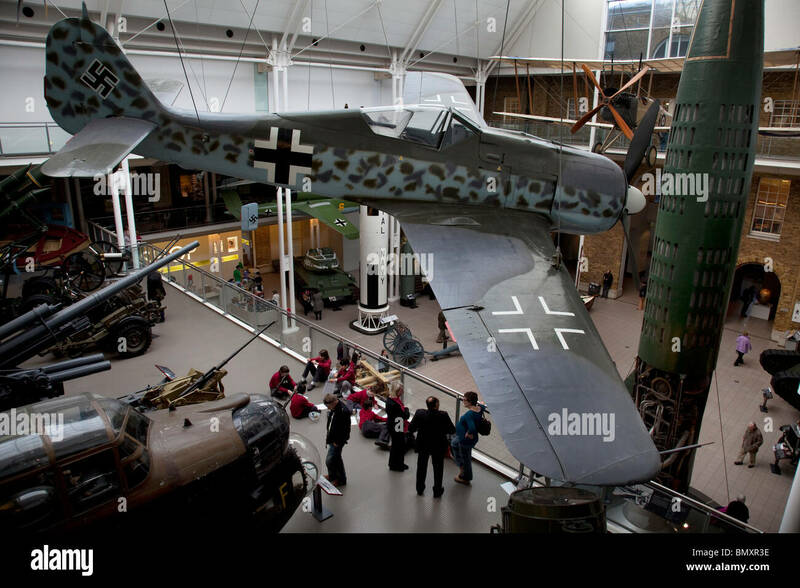 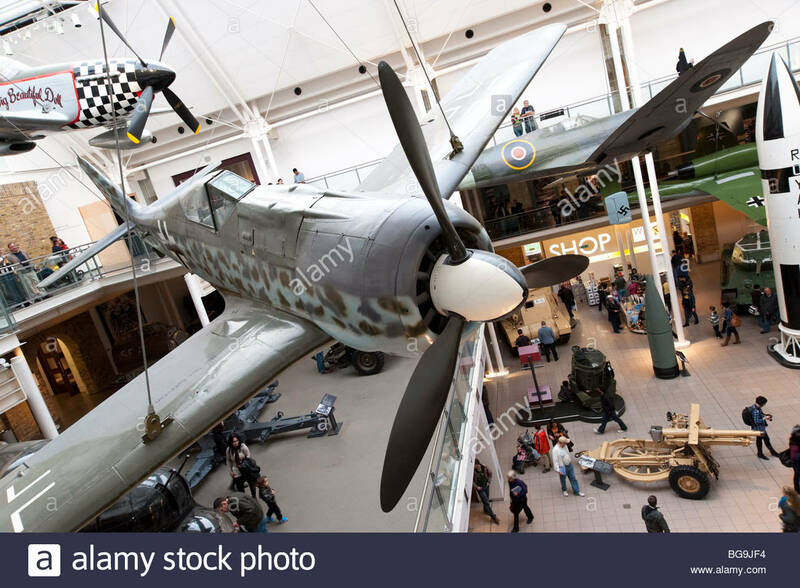 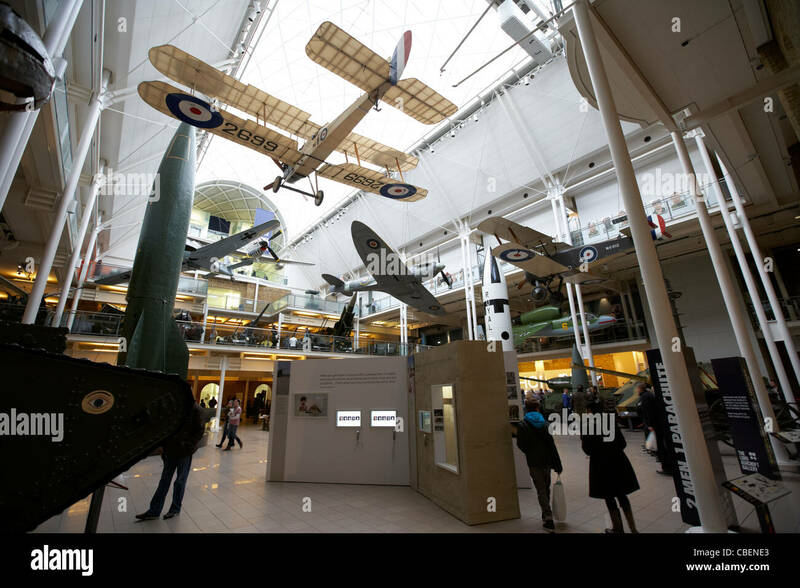 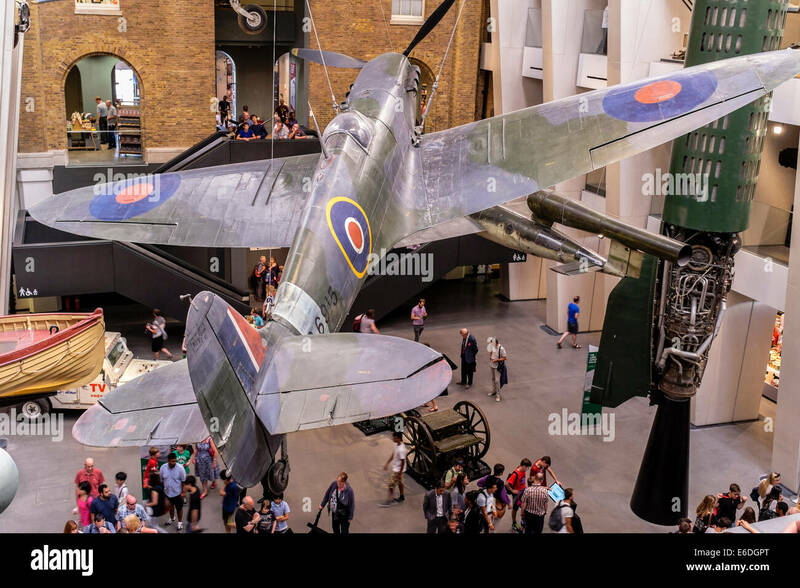 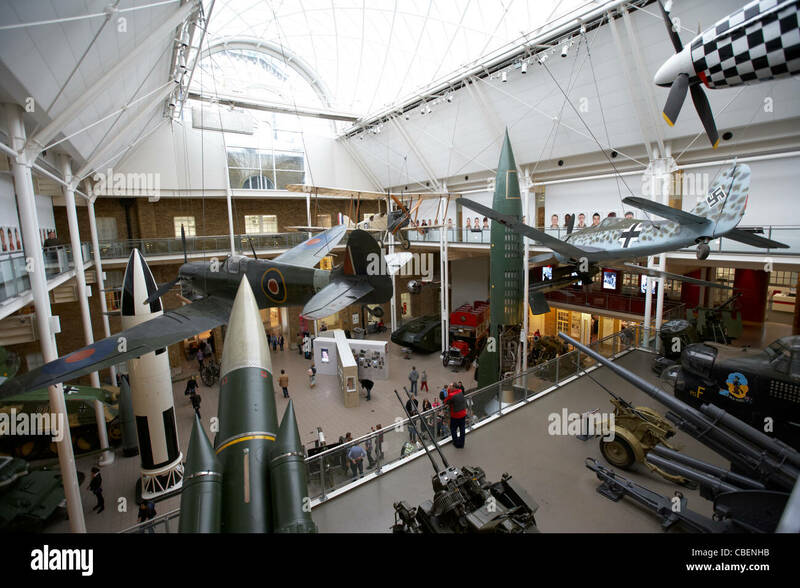 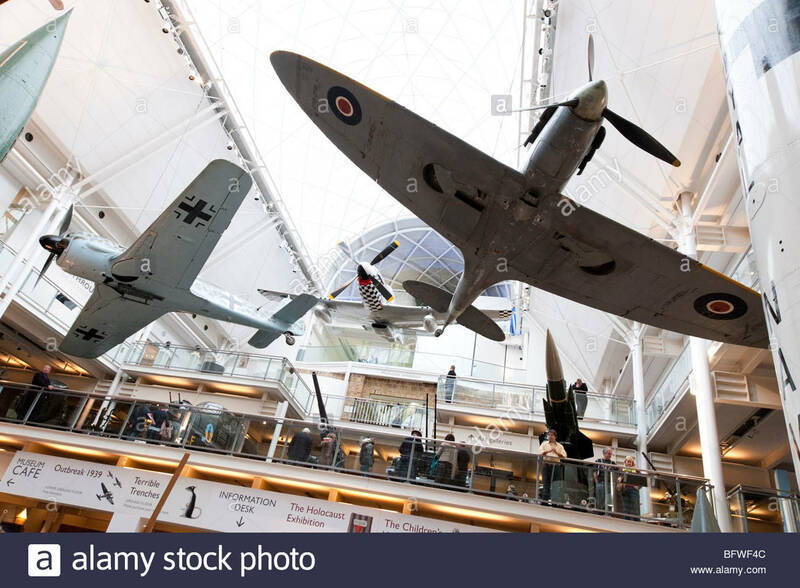 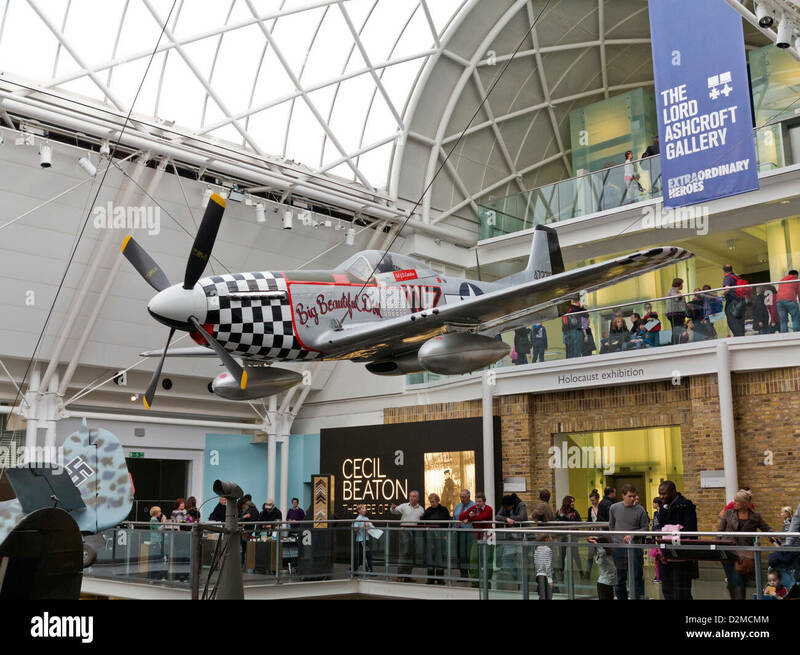 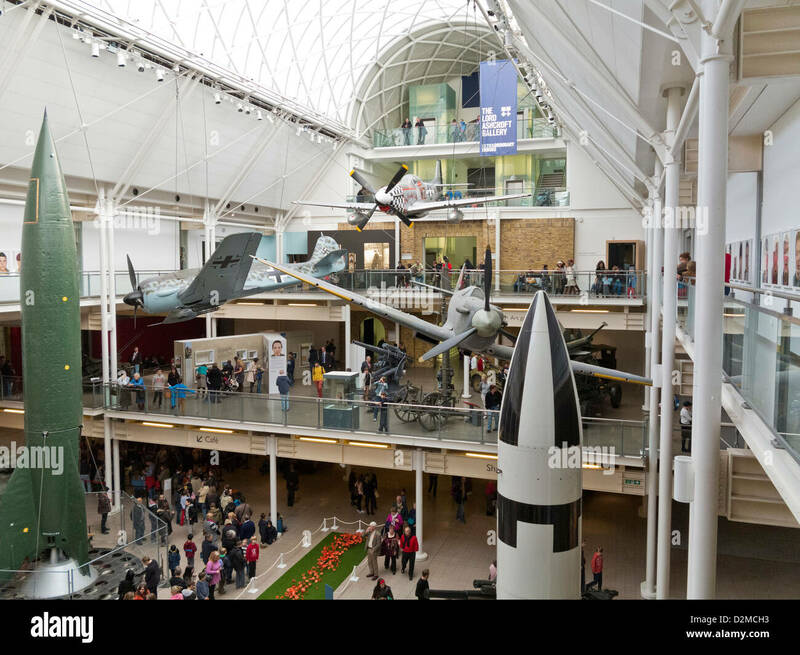 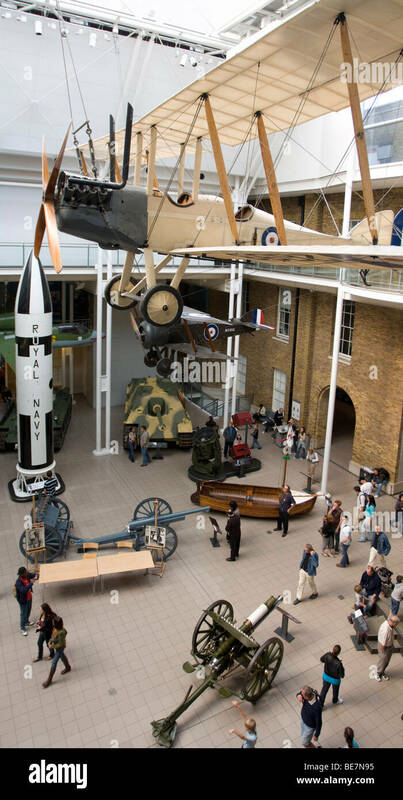 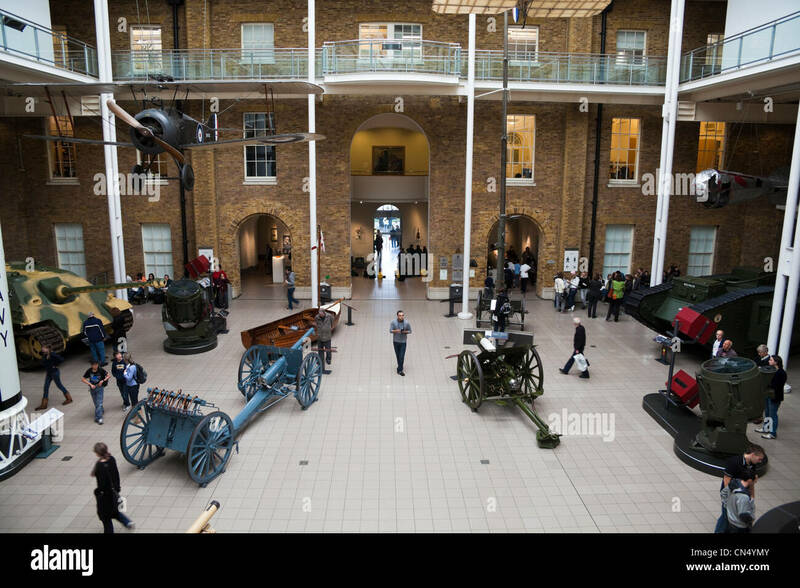 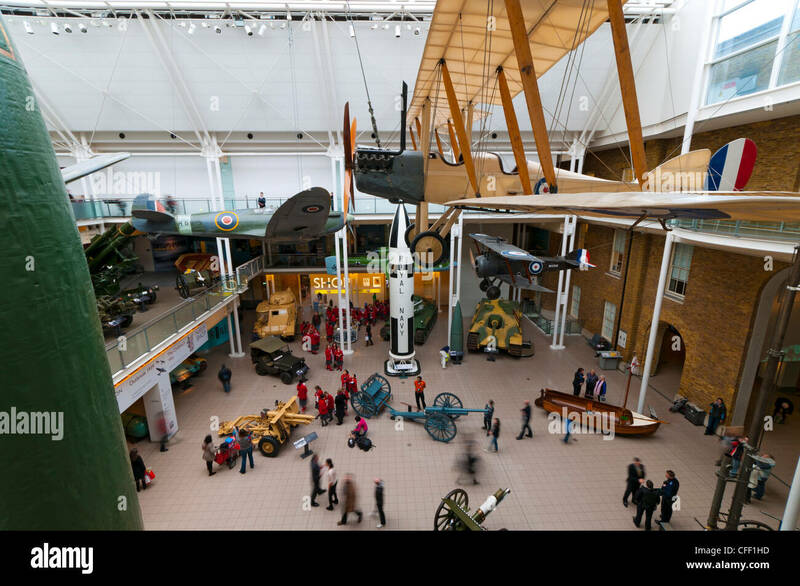 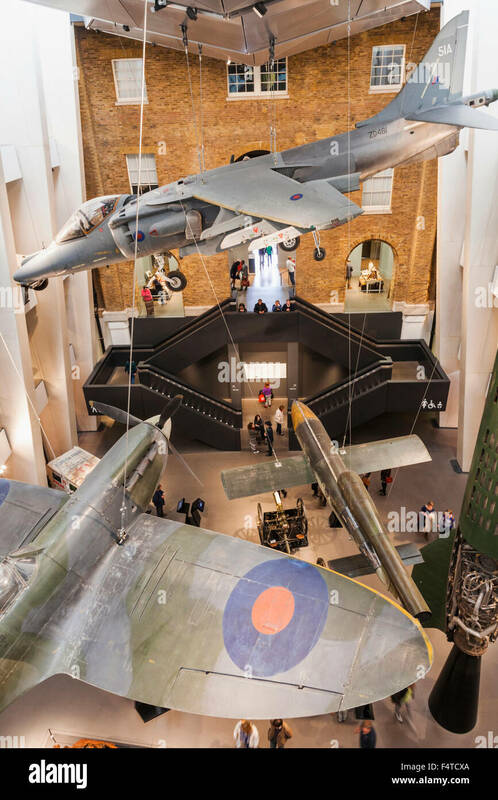 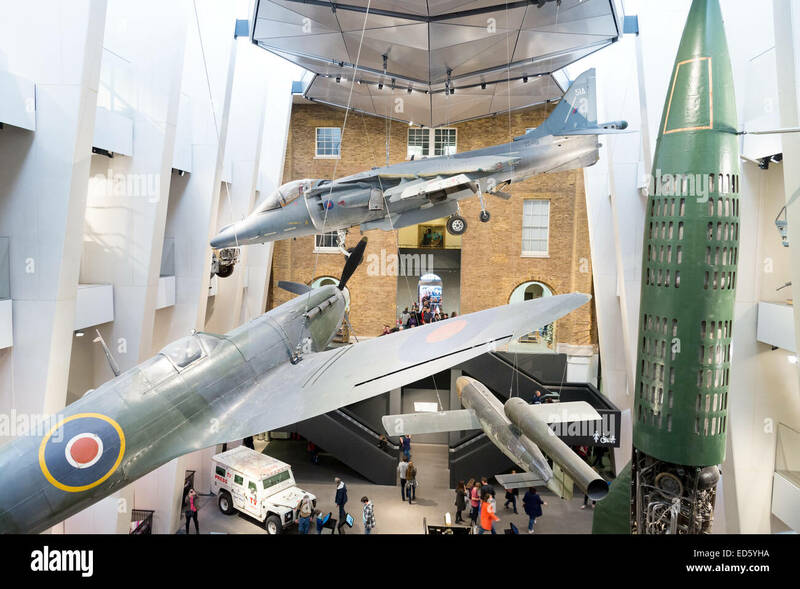 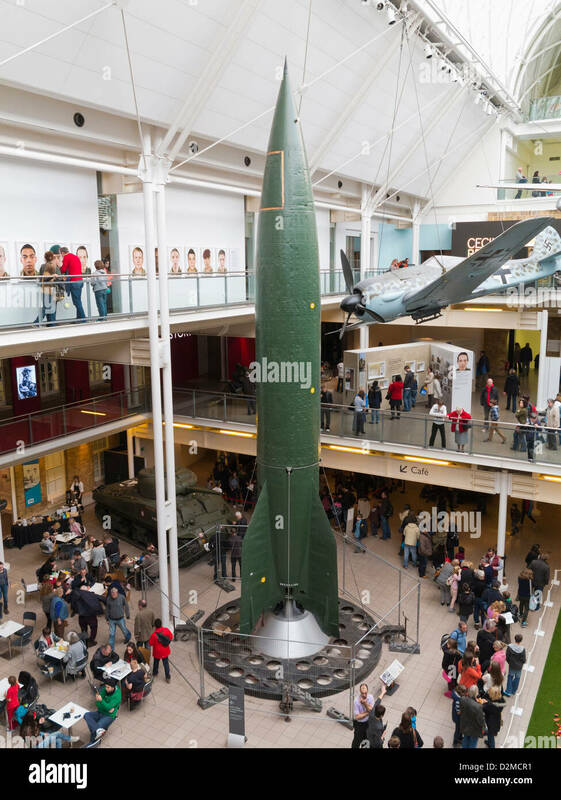 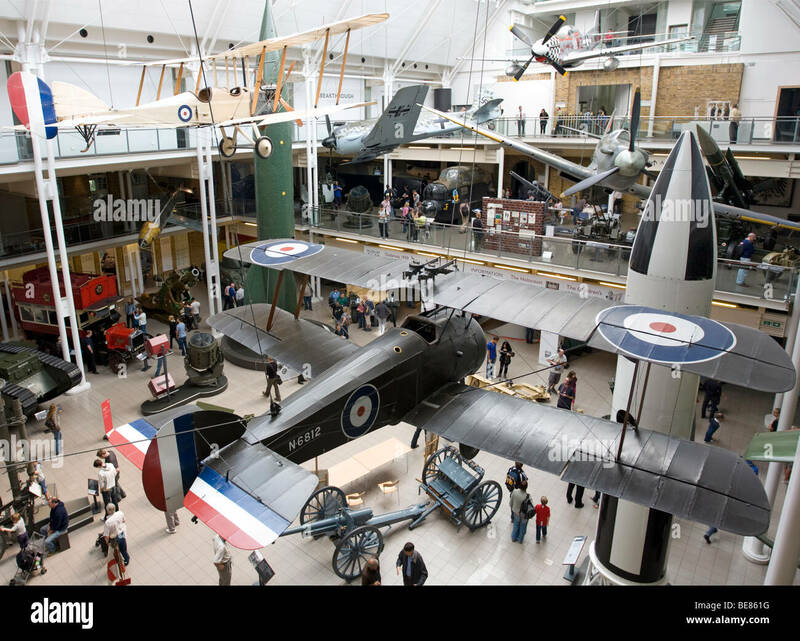 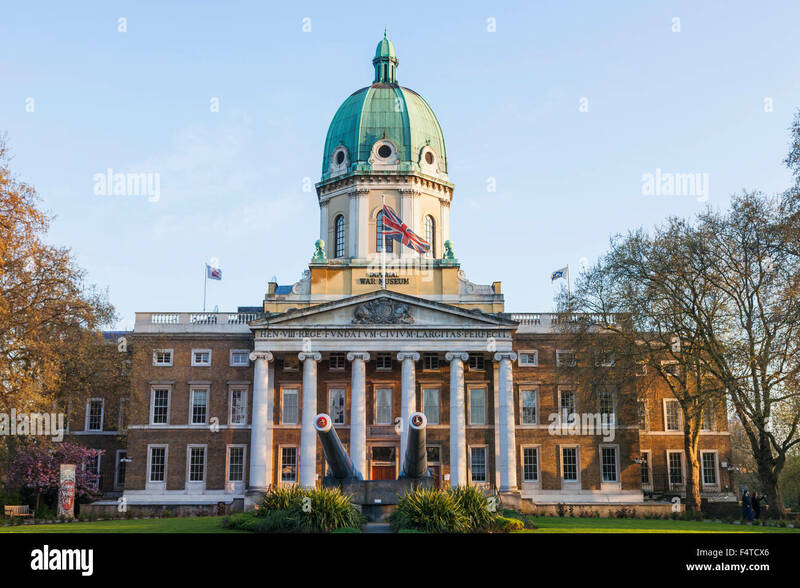 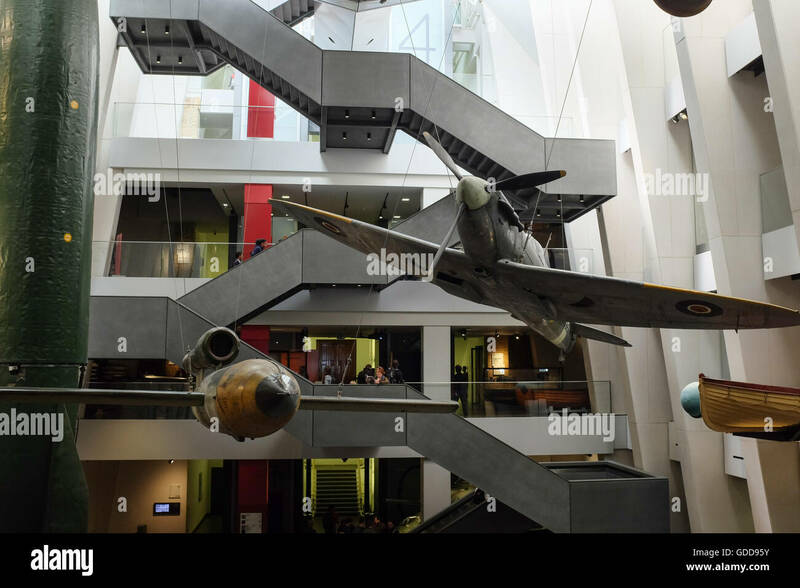 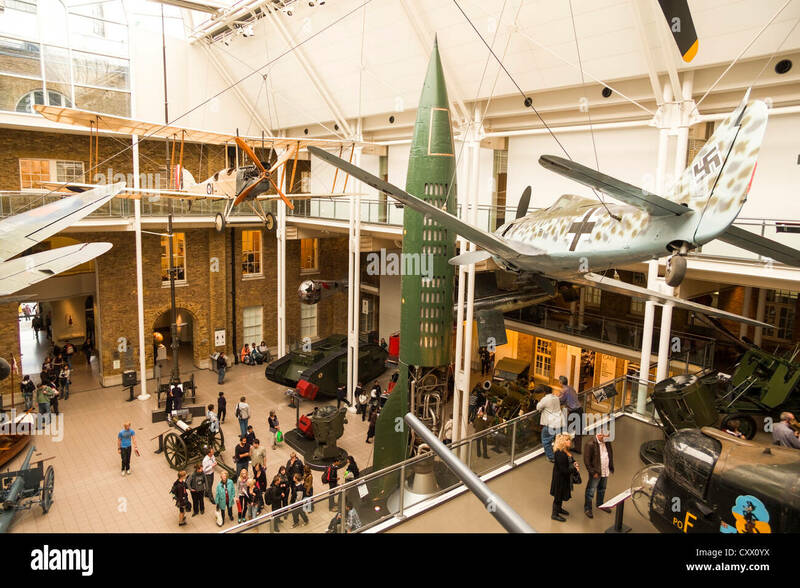 The main interior of the Imperial War Museum in London, England. 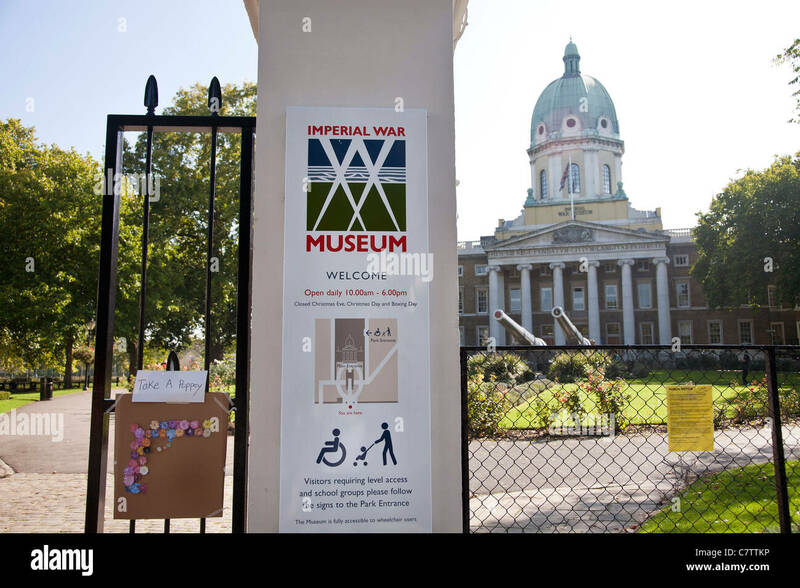 Entrance gate, home made poppies for free, at the Imperial War Museum, London. 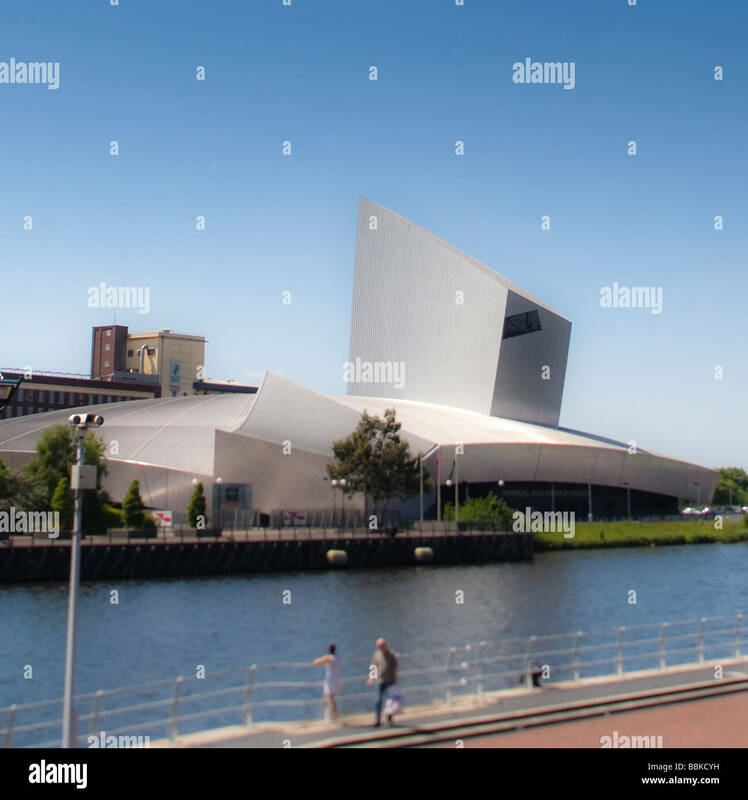 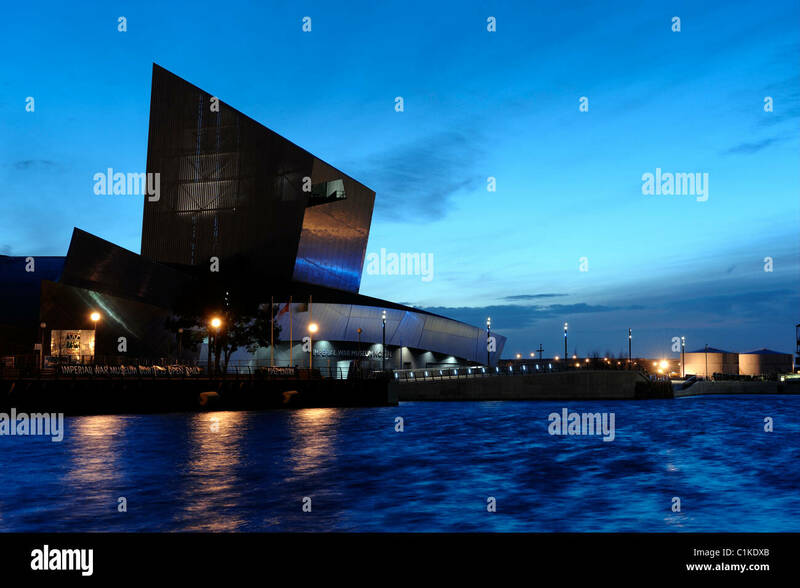 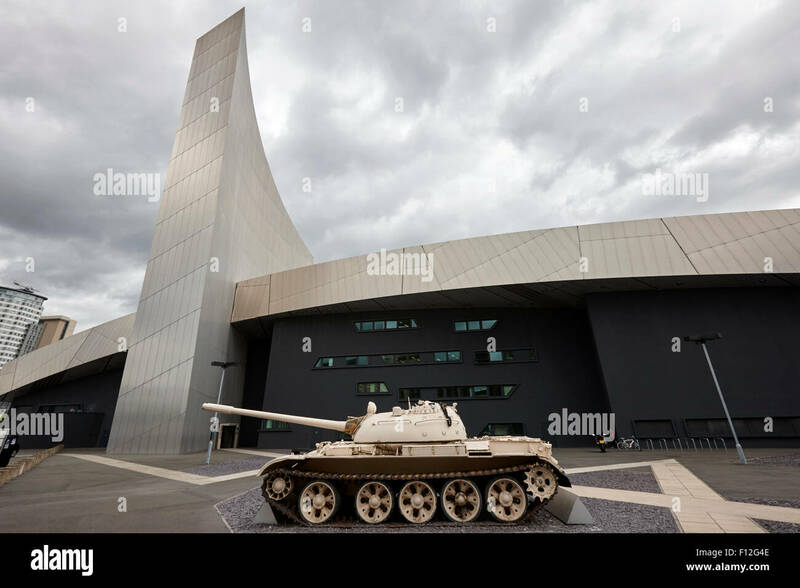 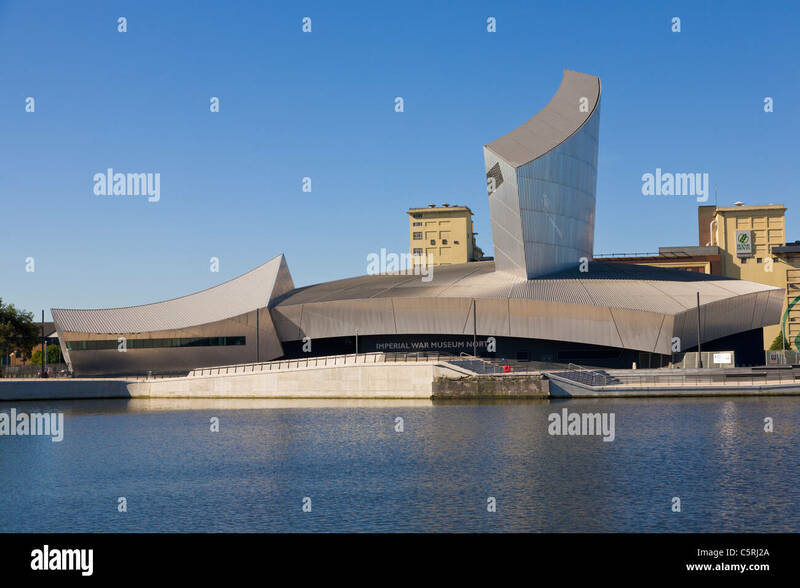 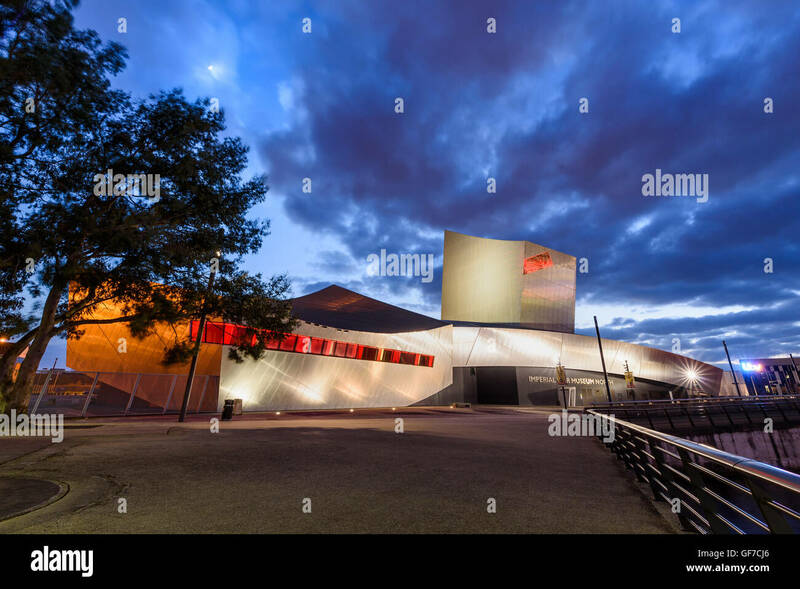 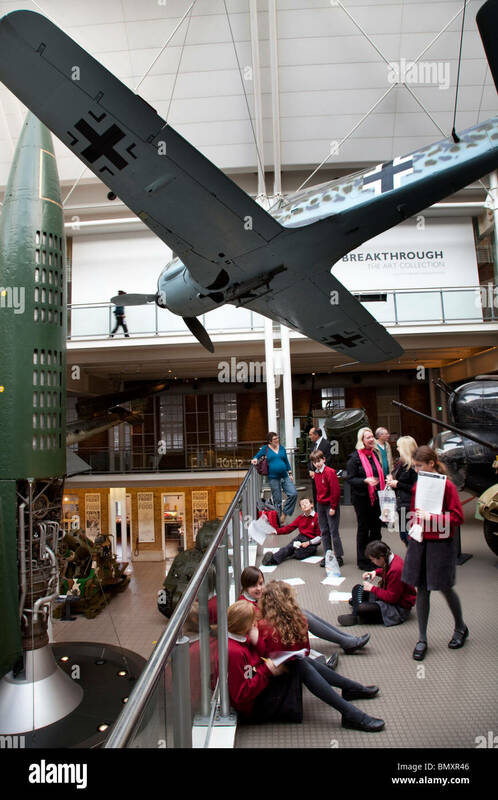 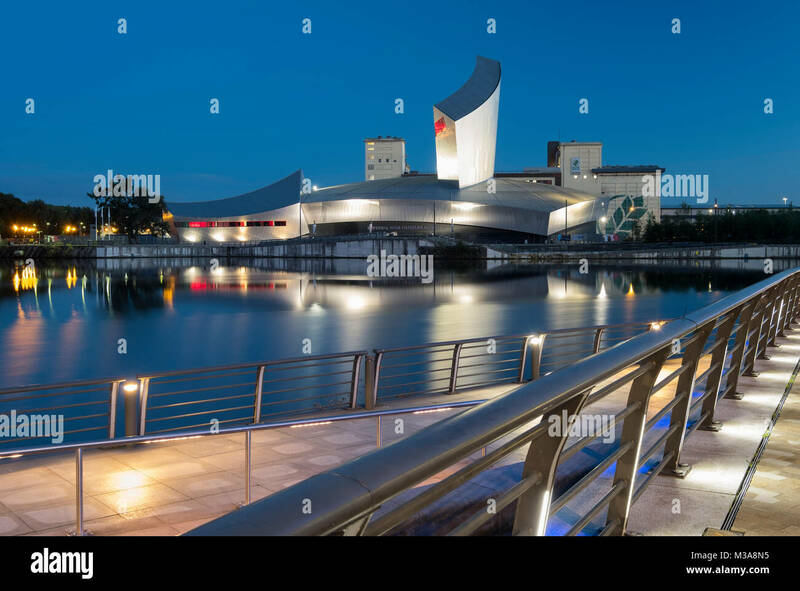 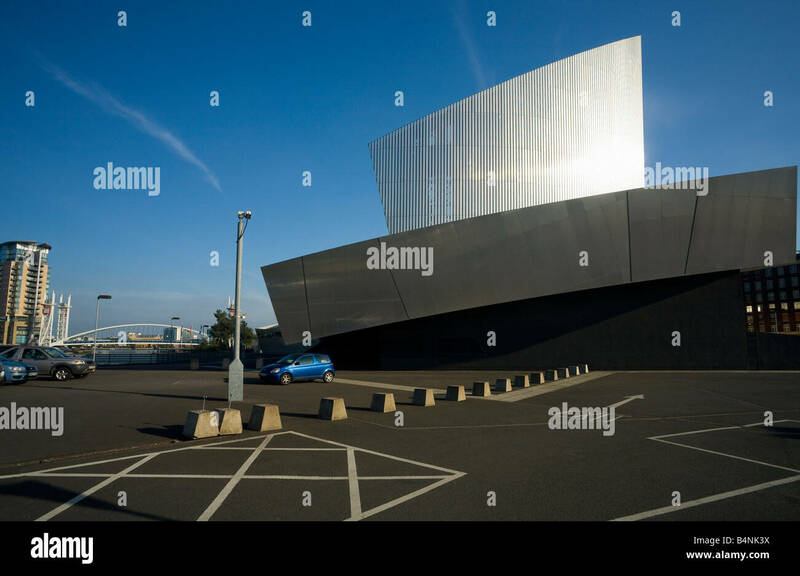 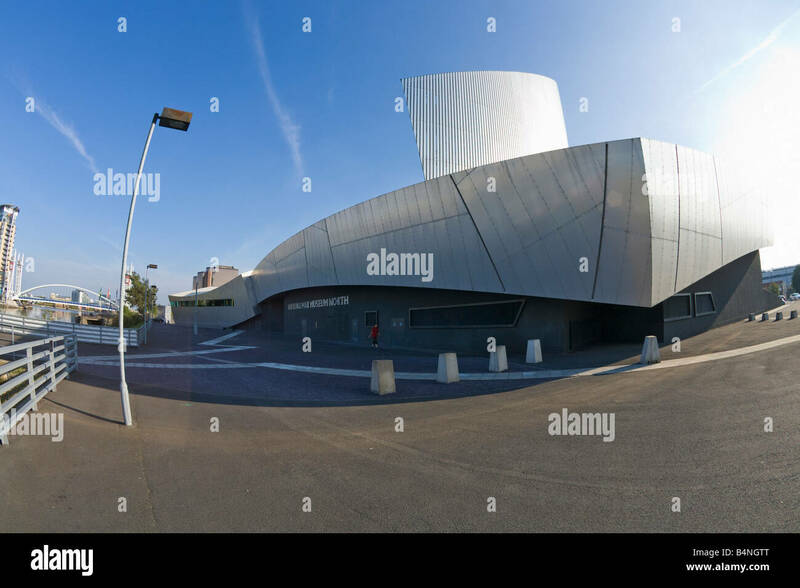 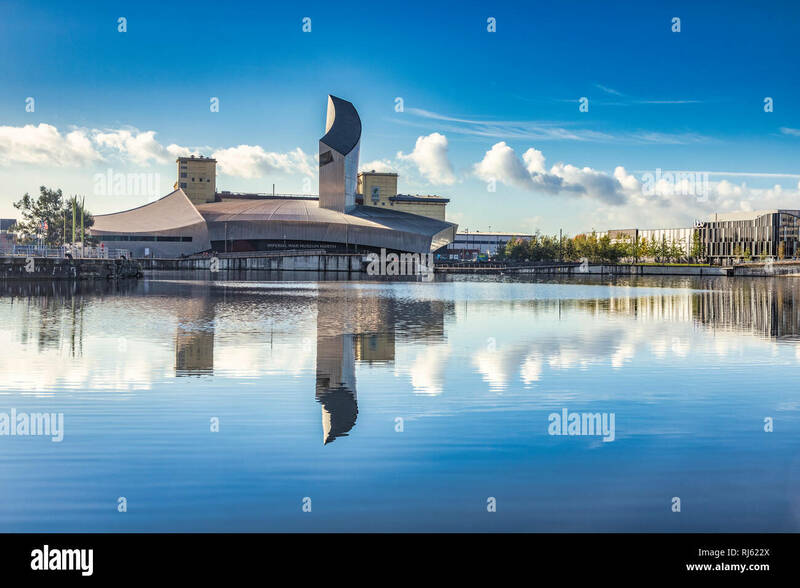 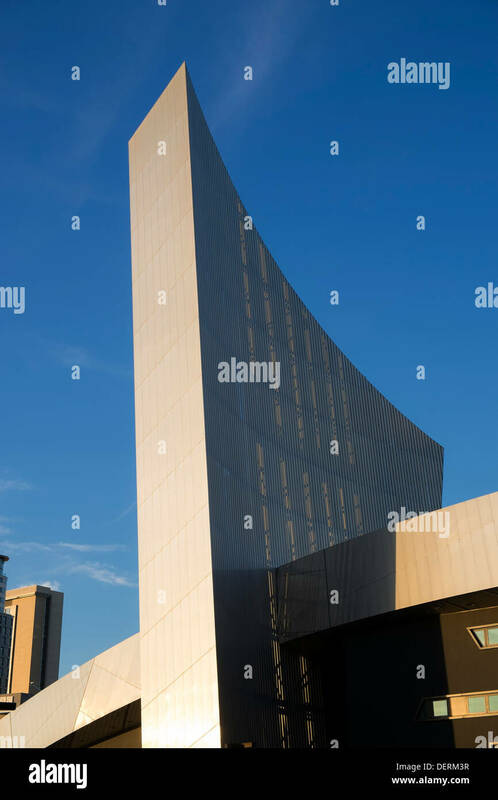 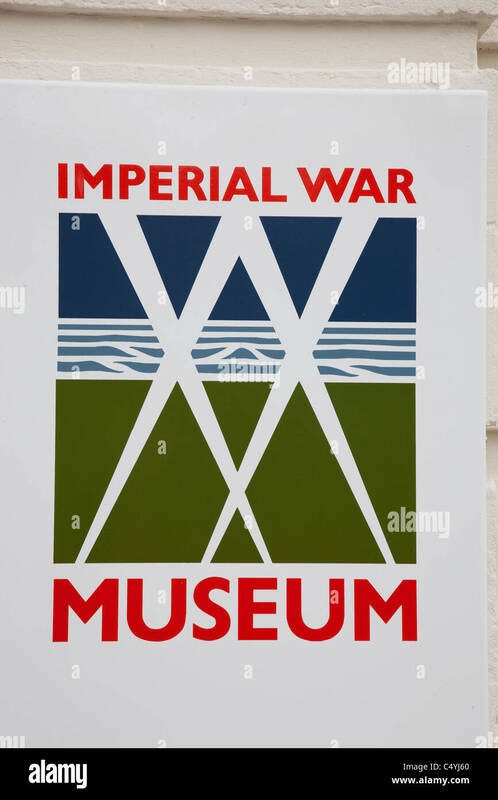 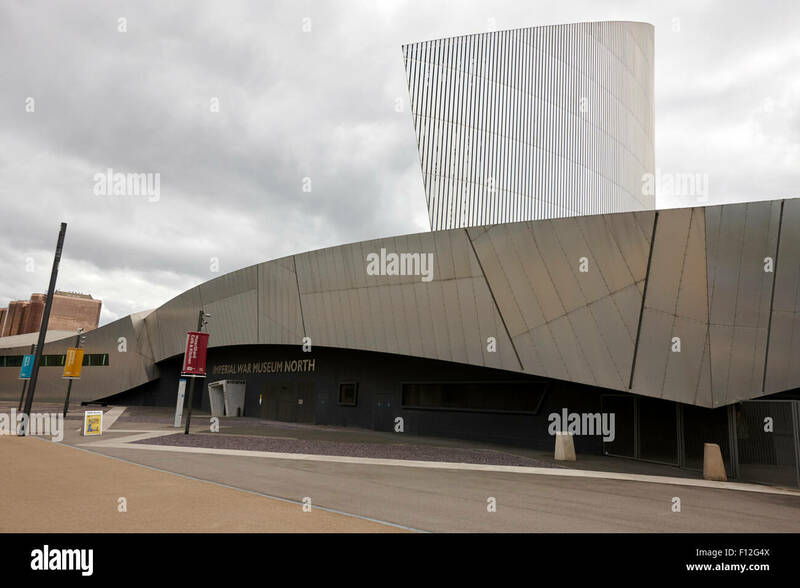 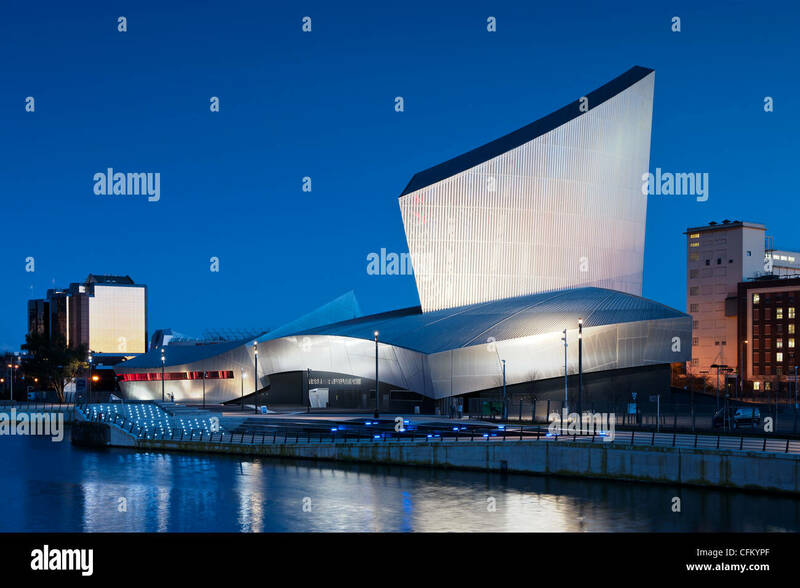 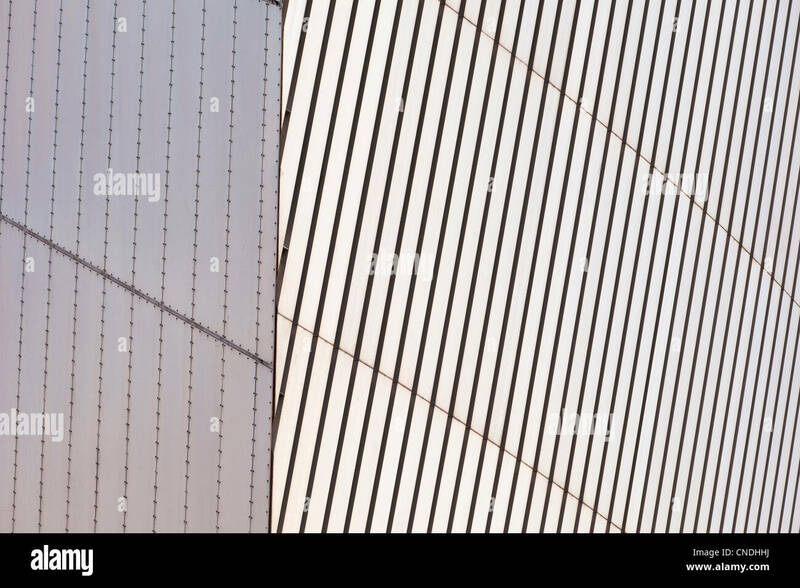 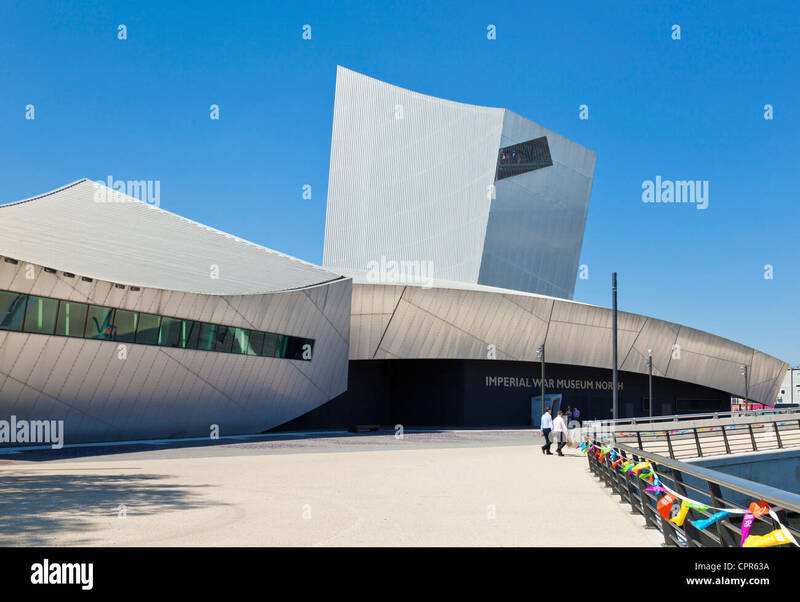 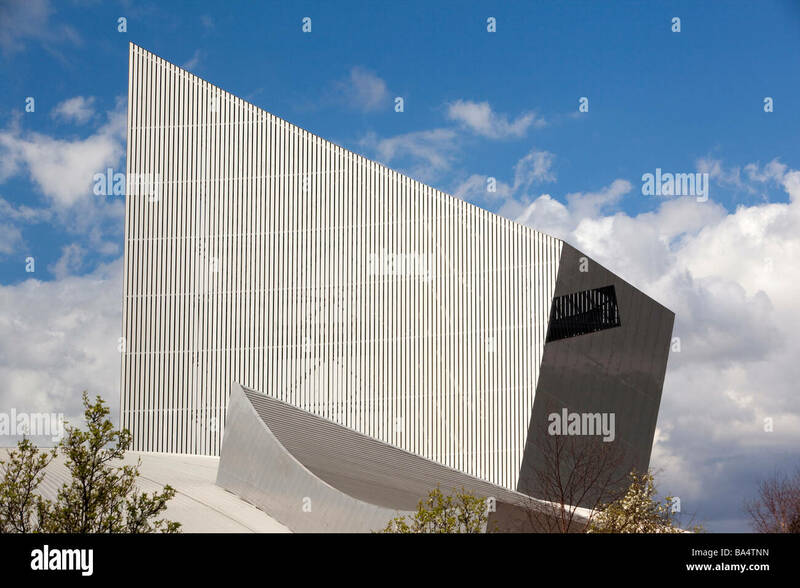 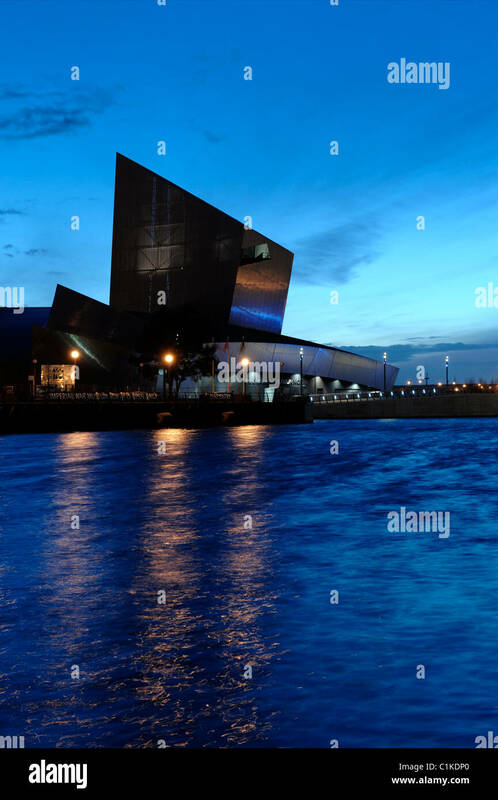 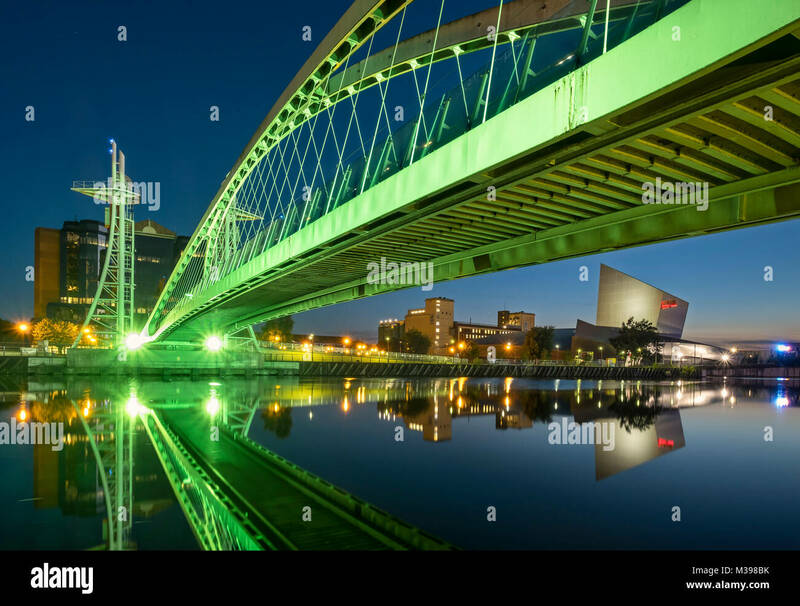 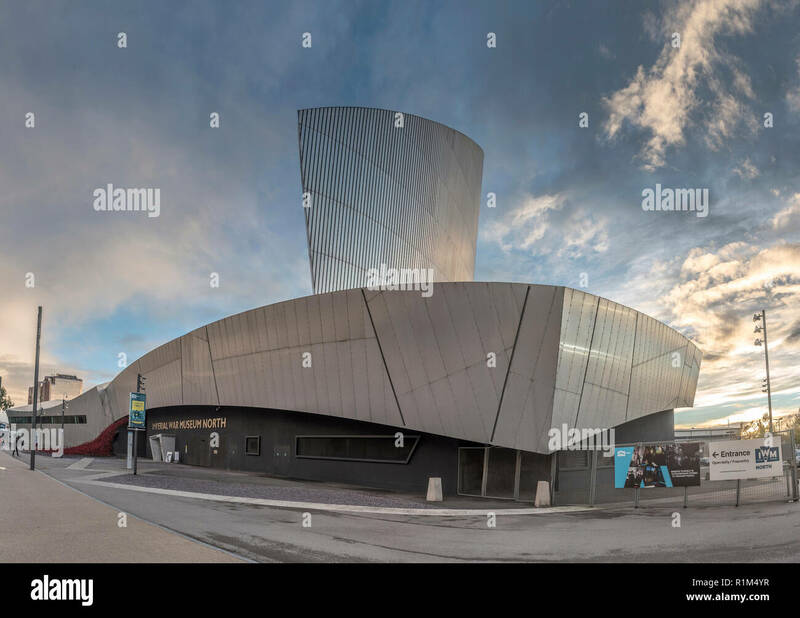 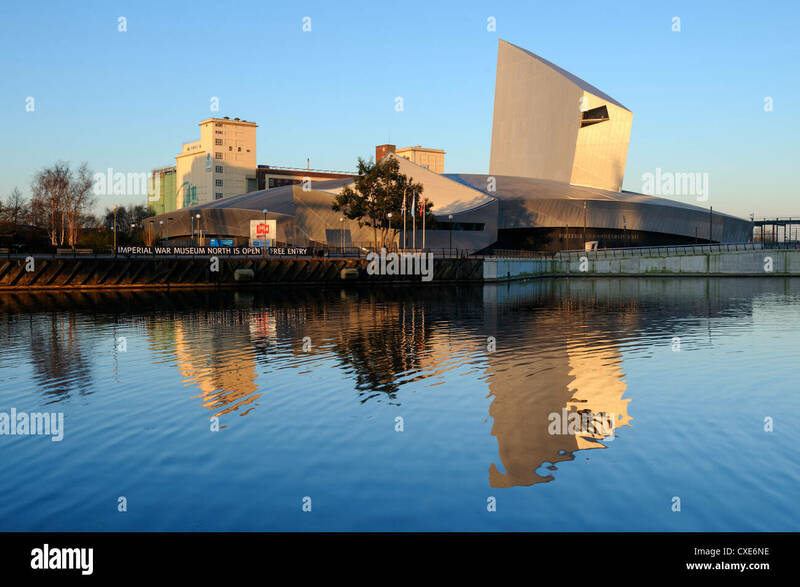 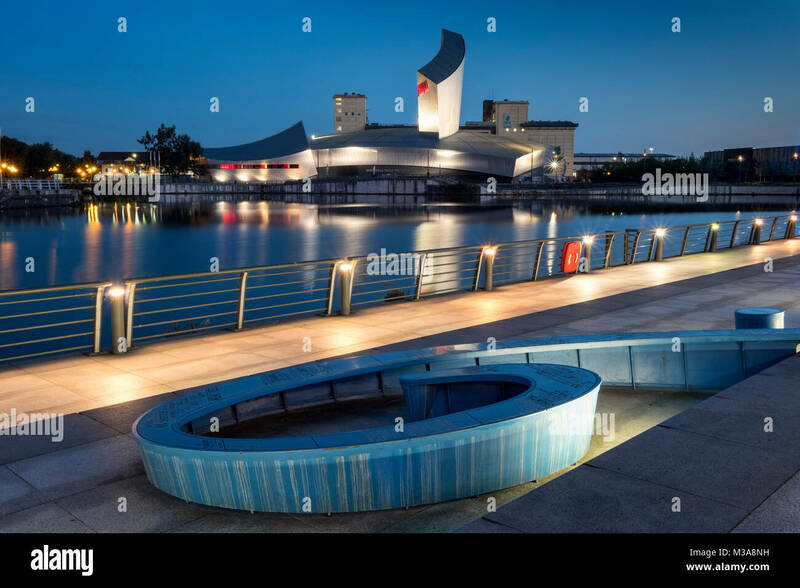 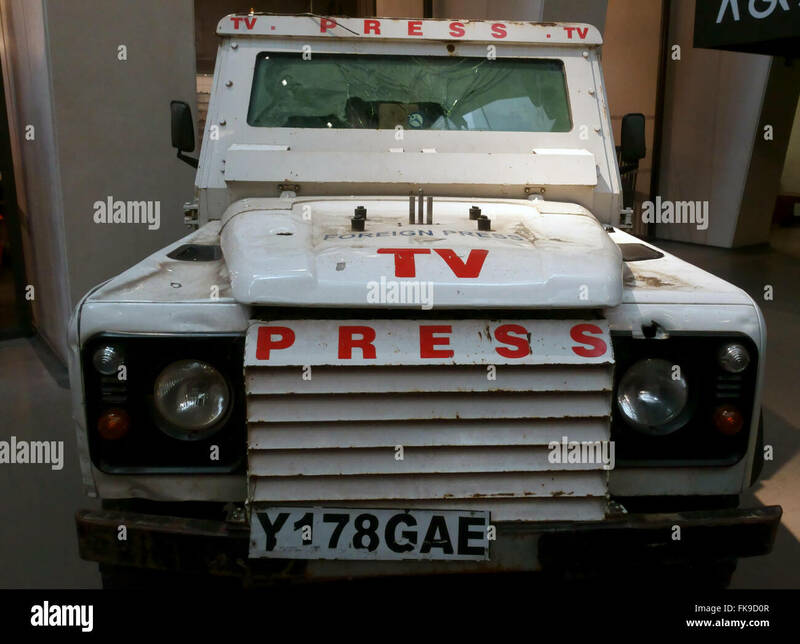 The Imperial War Museum North located near to Salford Quays / Media City near the Manchester Ship Canal. 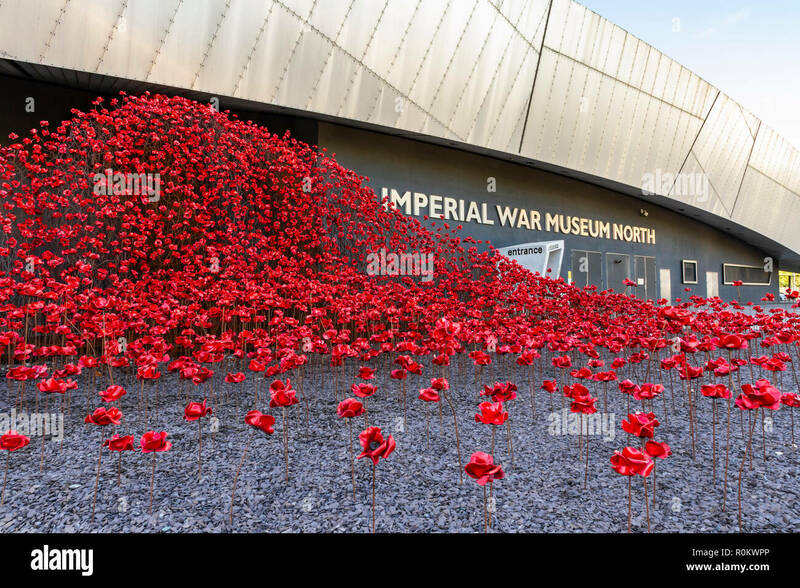 Imperial War Museum North with the iconic red poppy sculpture Wave by artist Paul Cummins and designer Tom Piper outside.